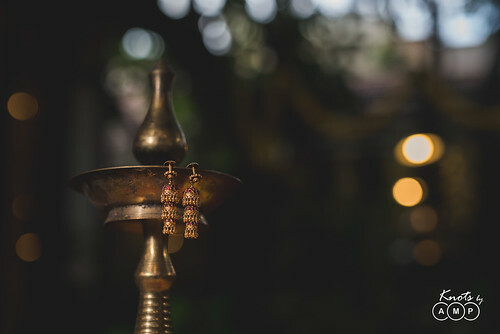 They rightly say there is beauty in simplicity and we should never overlook the power of simplicity. 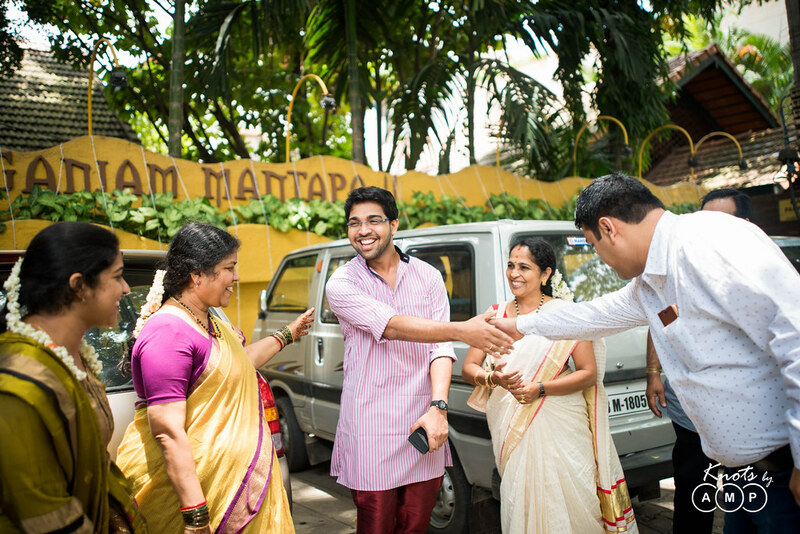 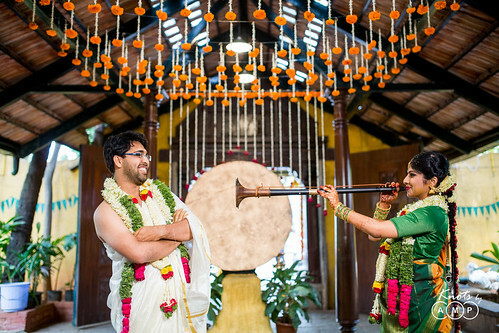 We literally understood this when we reached this particular wedding venue in Bangalore last month. 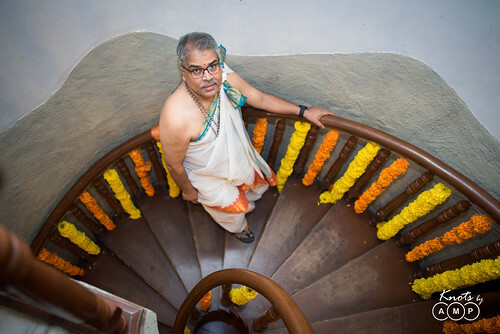 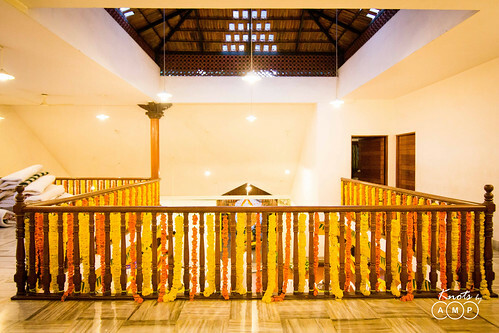 “Ganjam Mantapa”, located in heart of Basavanagudi is a huge medieval house converted to a charming and intimate mantapa by the renowned architect Renu Mistry. 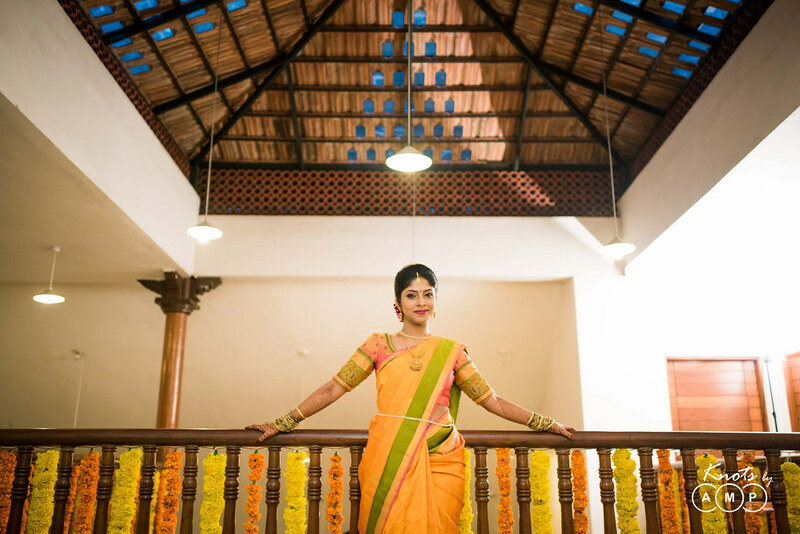 The typical south indian setting, the old world charm and the elegance of the place took our attention completely the moment we stepped in. 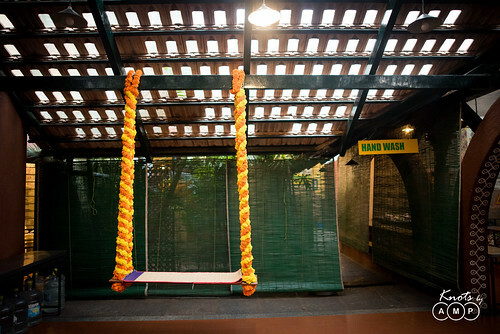 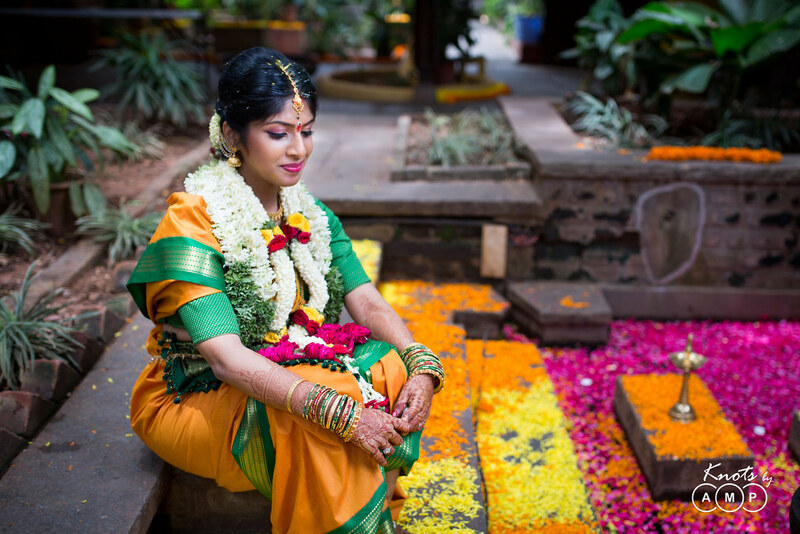 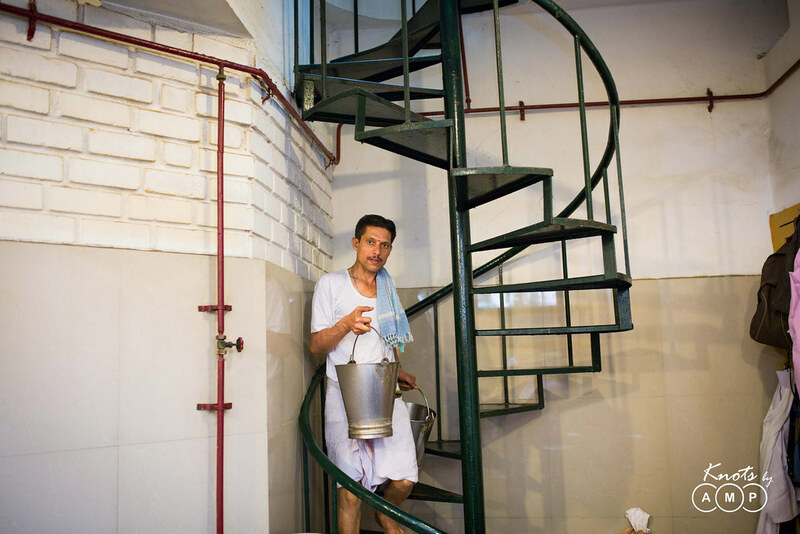 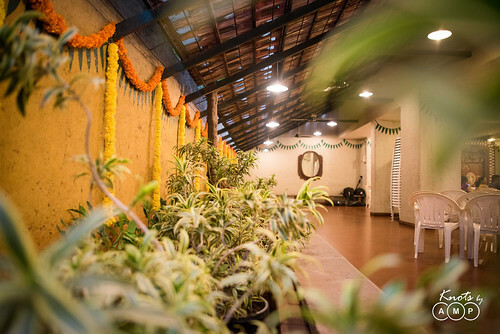 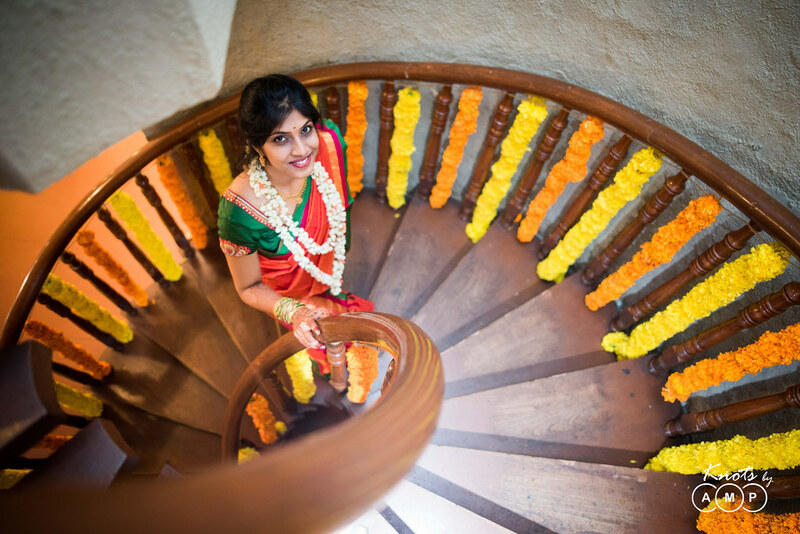 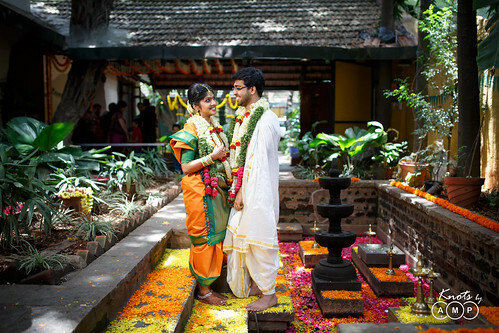 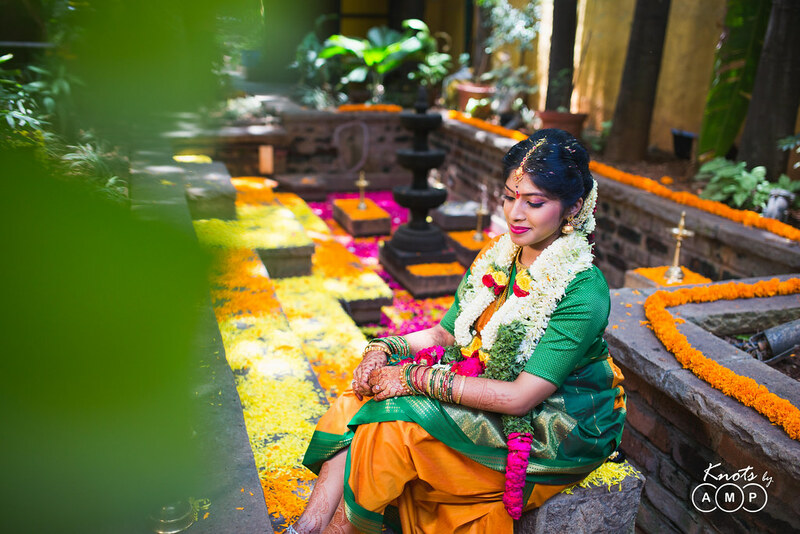 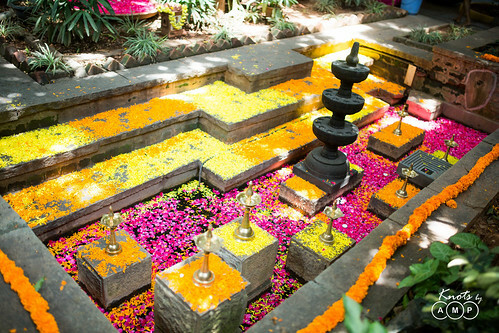 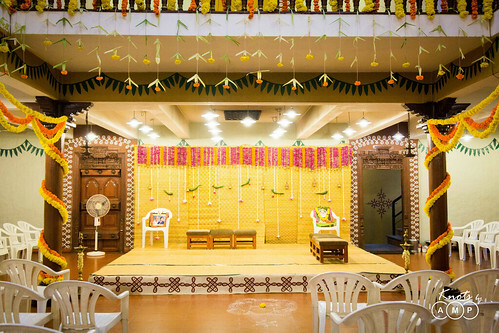 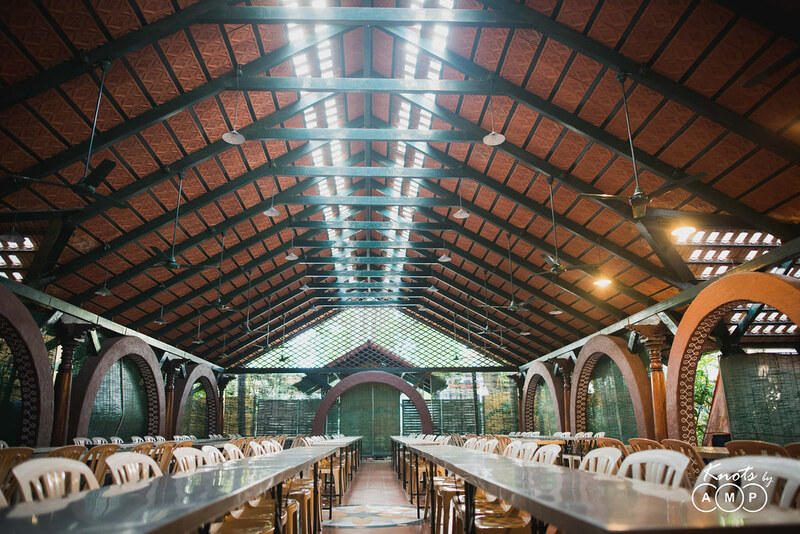 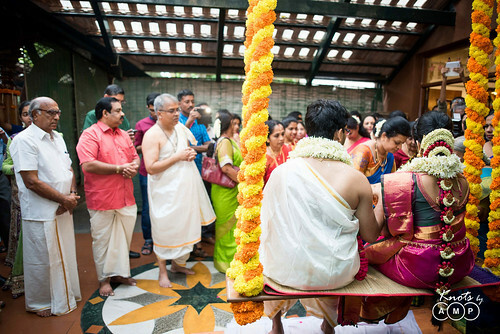 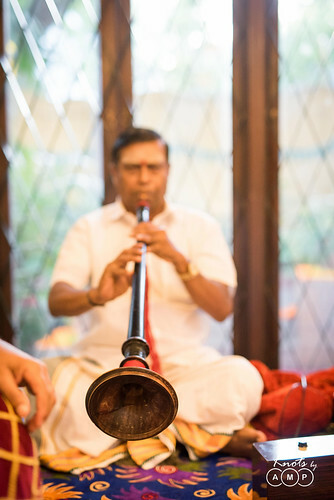 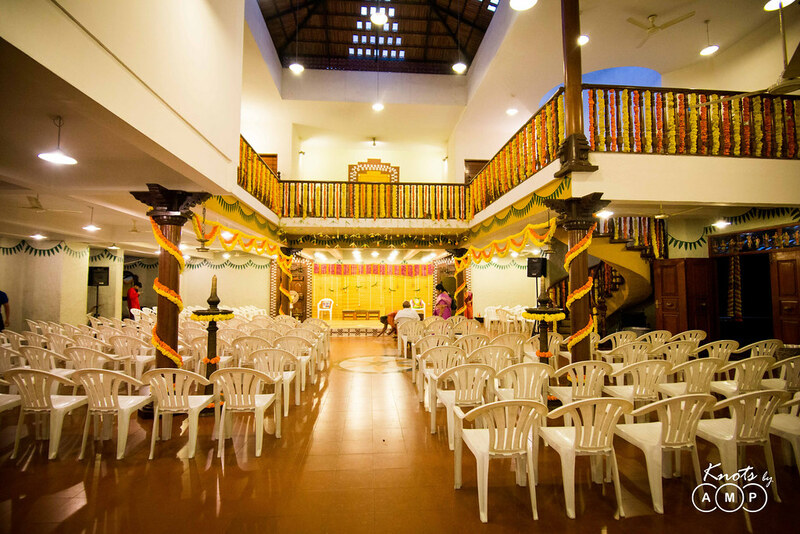 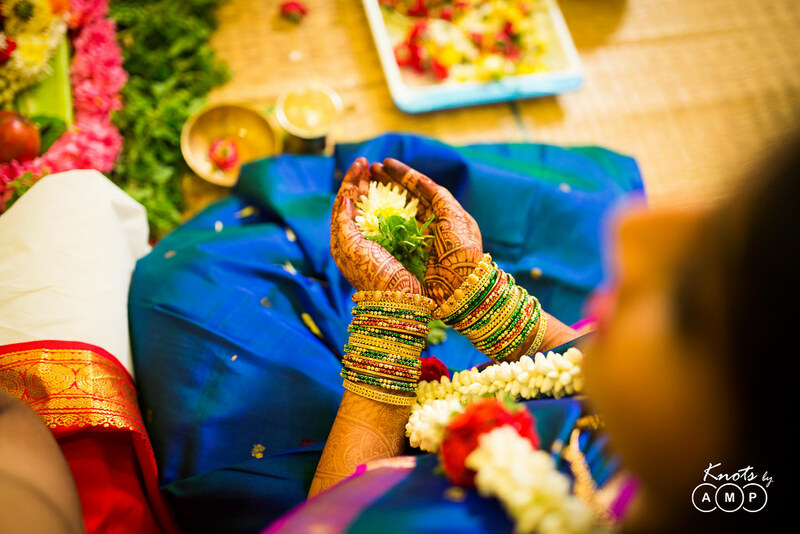 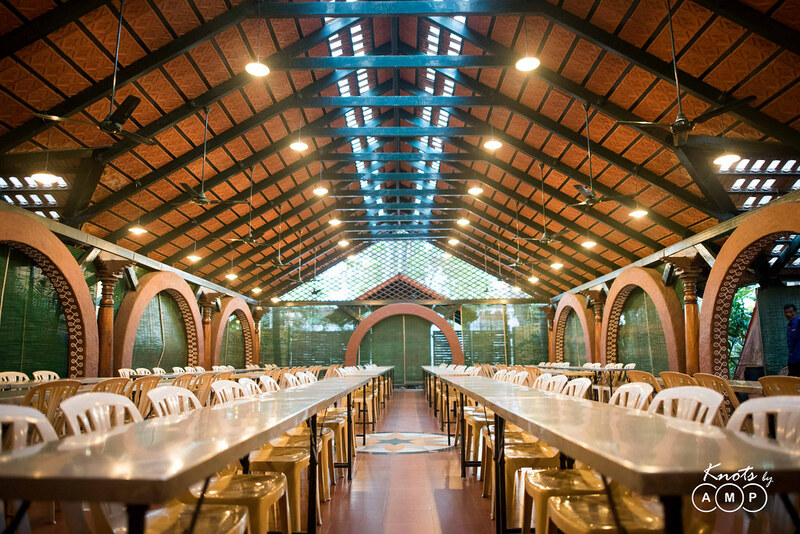 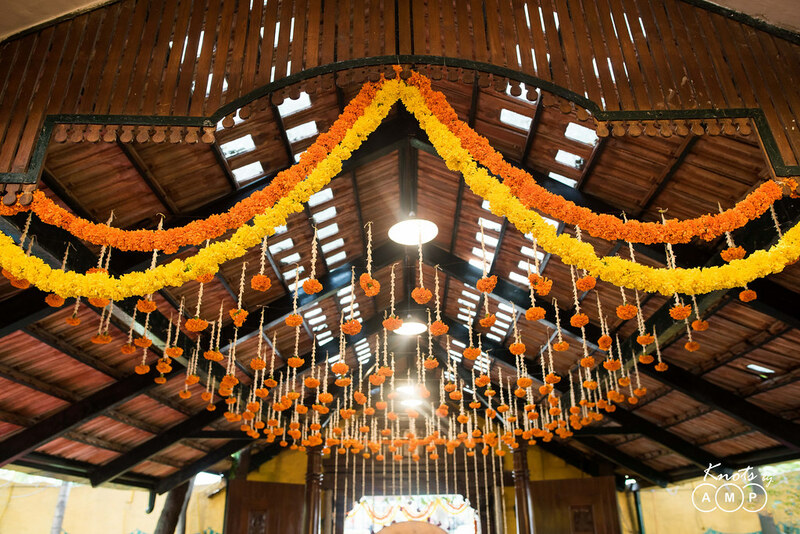 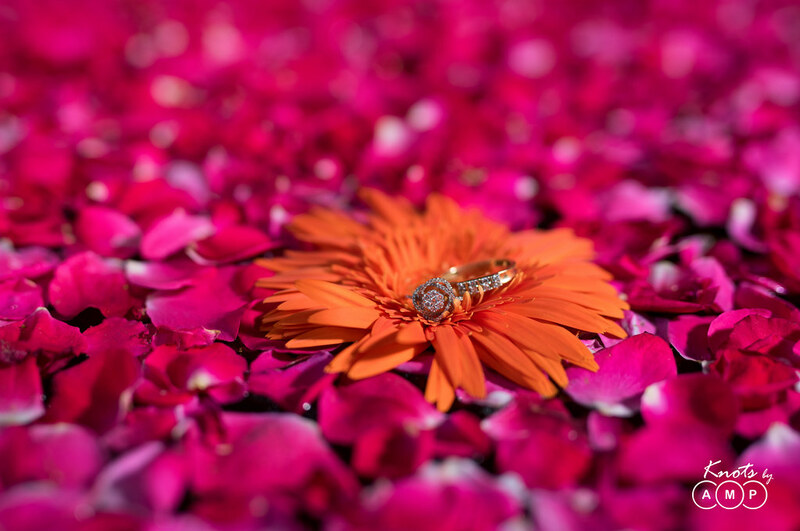 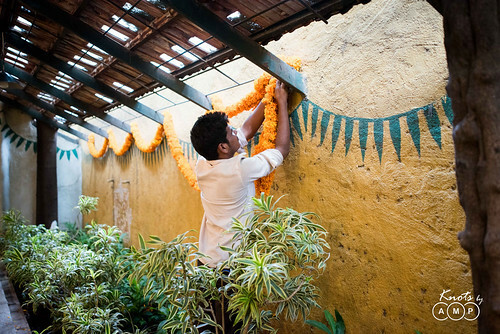 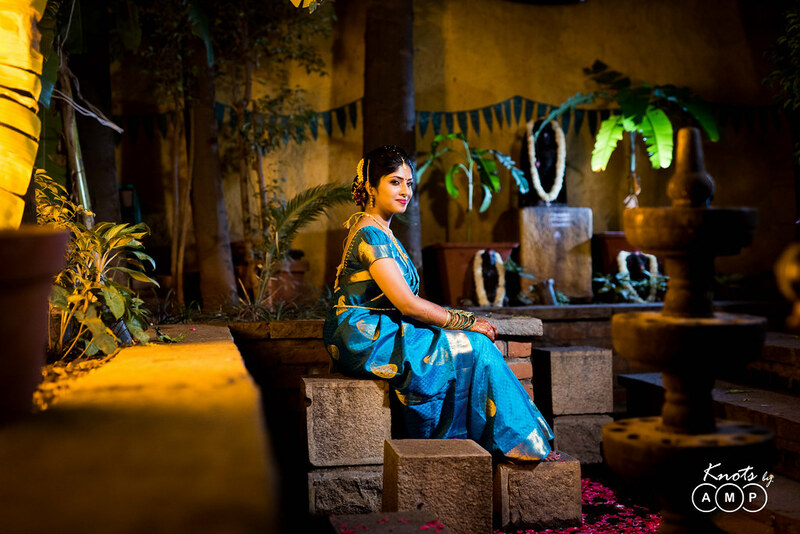 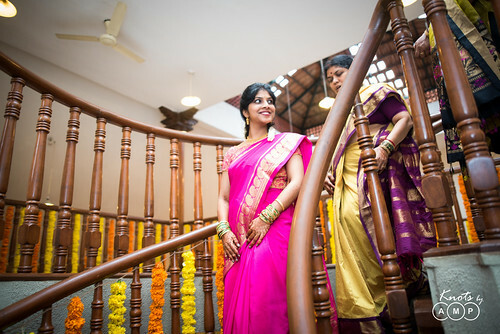 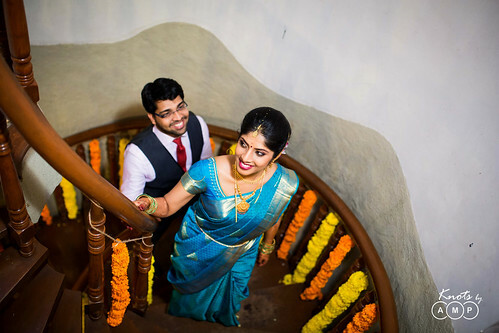 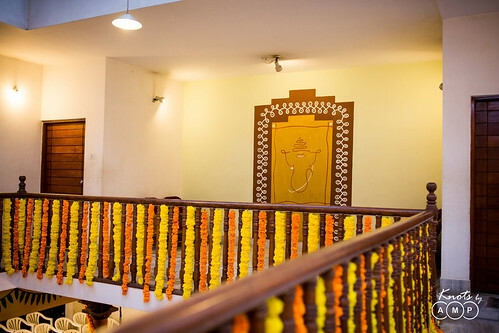 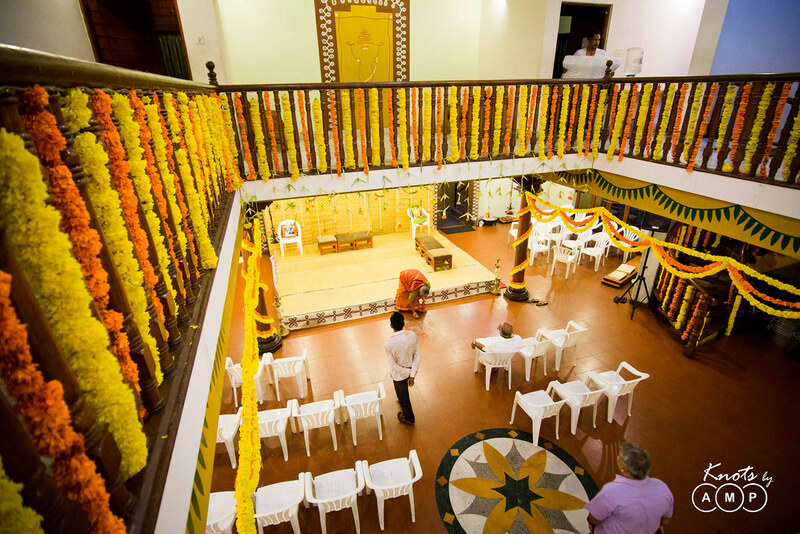 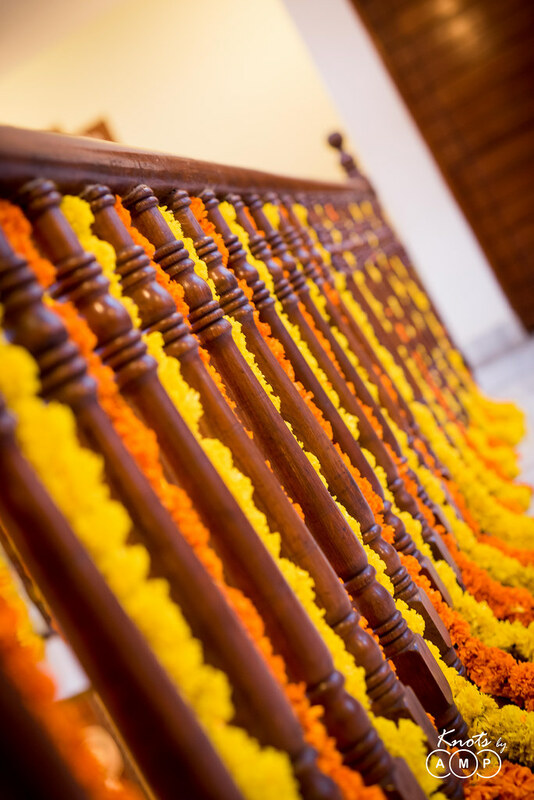 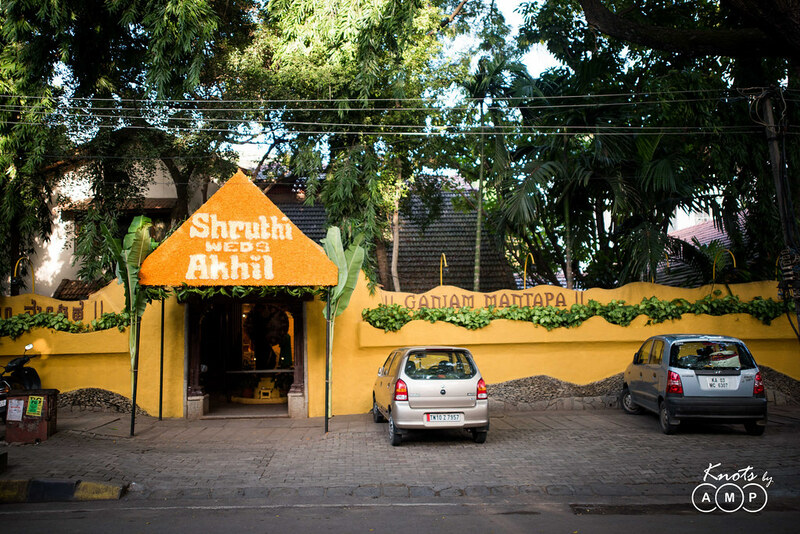 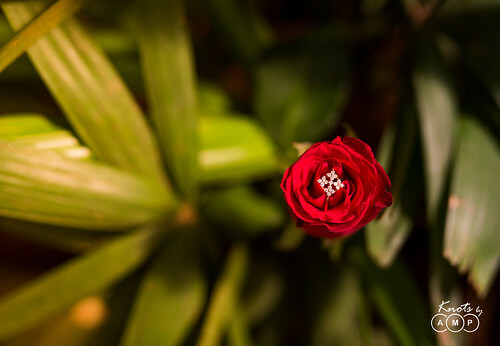 The key highlights of the venue is in the details, including the beautiful ponds outside the venue decorated with rose and marigold, the spiral staircase for the bride to walk down to the mantap, the traditional Kolam around the doors of the main mantap and the walls painted with mango leaves and the traditional slopping roof. When you see the pictures, you will see some incredible shots of the finest minute details – the golden necklace on the shiv lingam, the bride’s jhumkas playing in the lights, the divine necklace on the wooden sculpture. But the essence of the photography remained the precious and simple moments captured in a documentary style – no distraction, just pure bliss of the photographs in its native form. 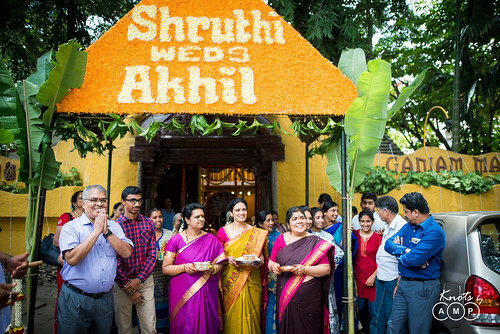 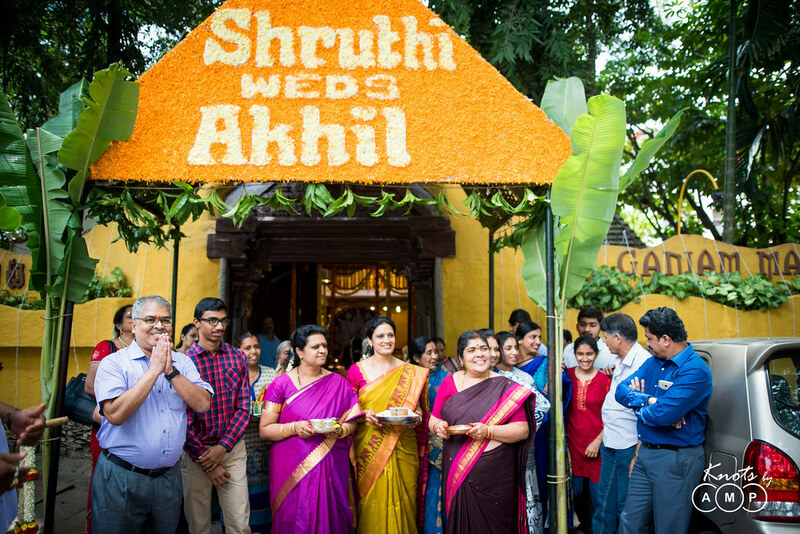 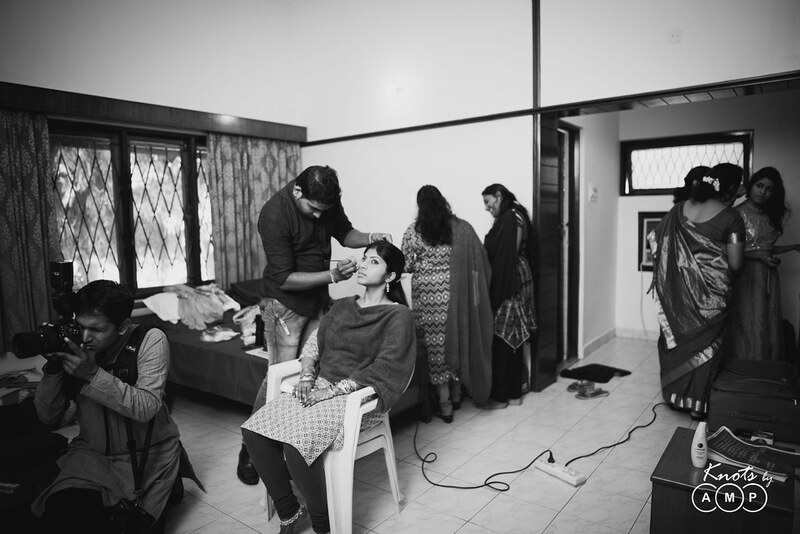 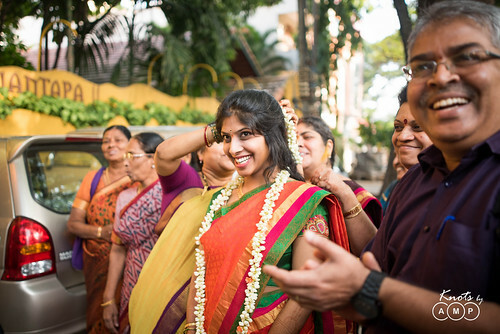 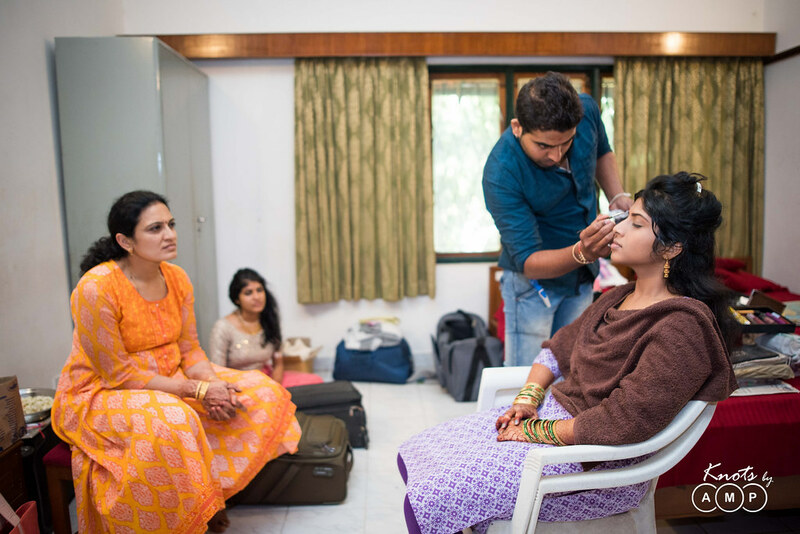 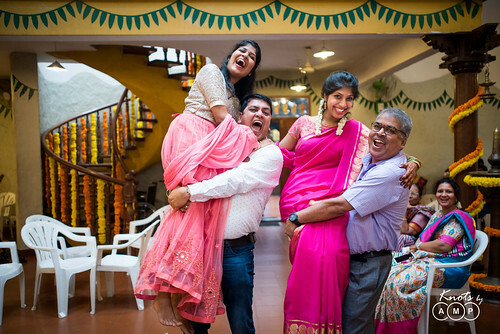 The Bride and the Groom, Shruti and Akhil, (both BITS Goa Alumni) fell in love over multiple lunches, movies, zillion bike rides and many peaceful park walks, while they worked together in Amazon. 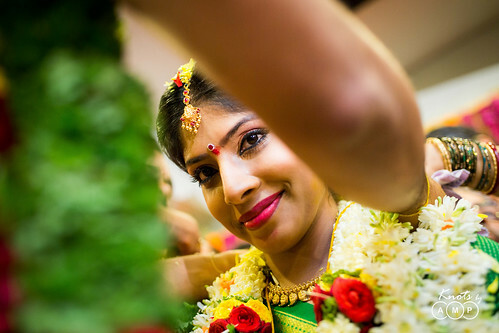 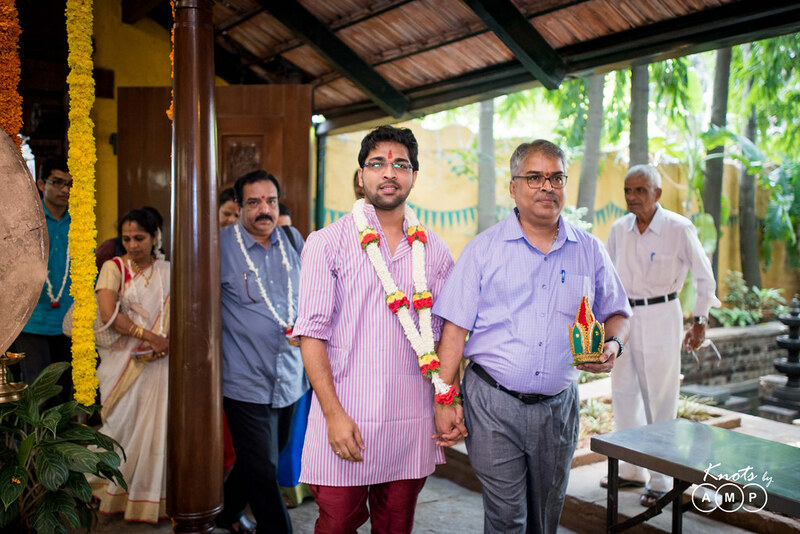 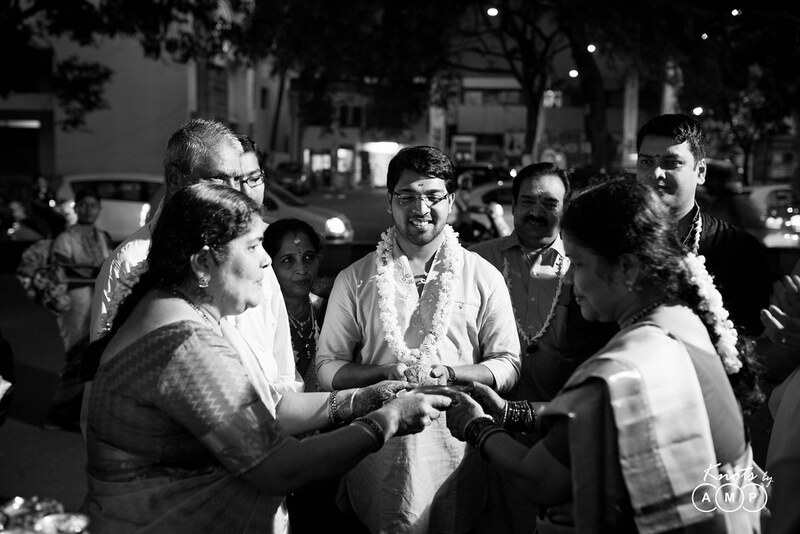 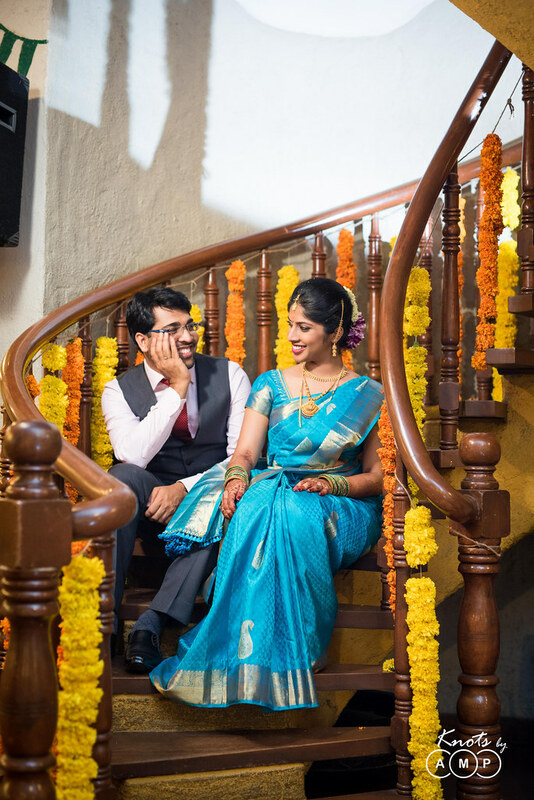 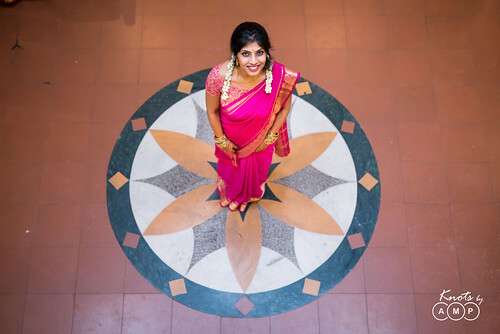 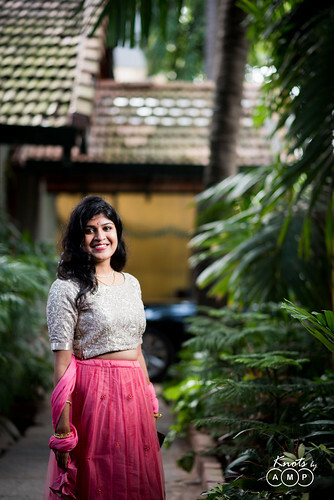 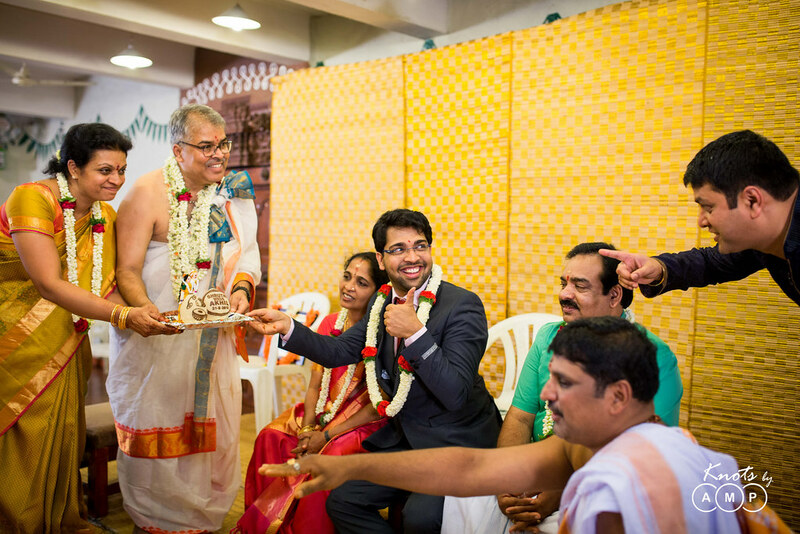 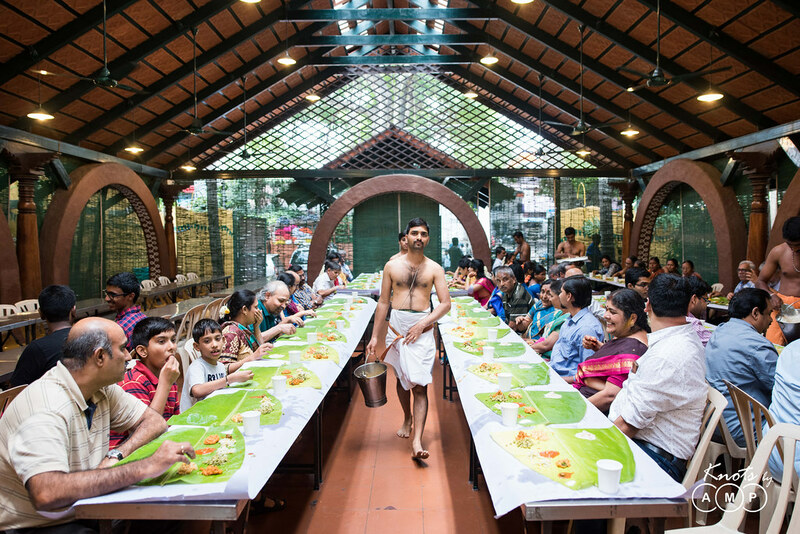 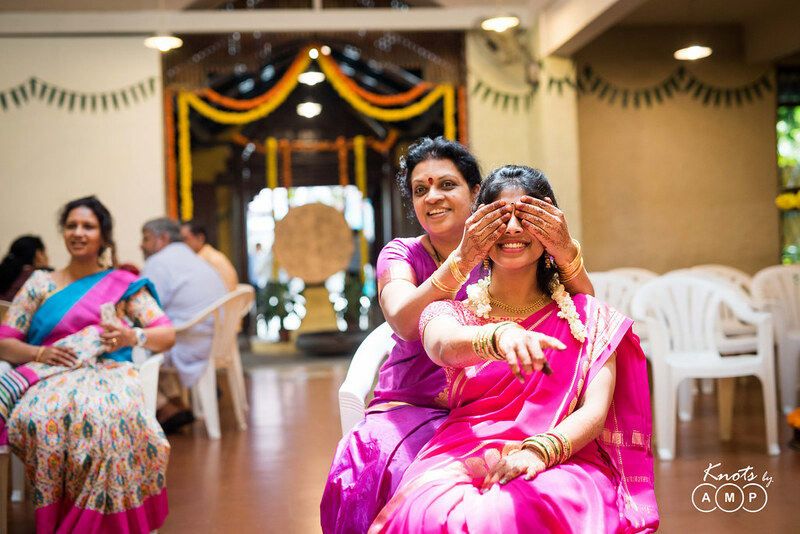 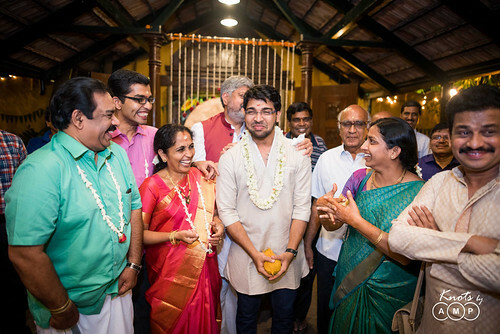 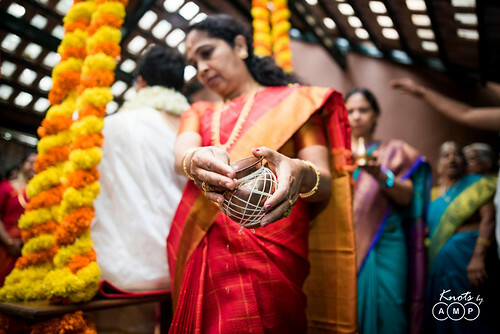 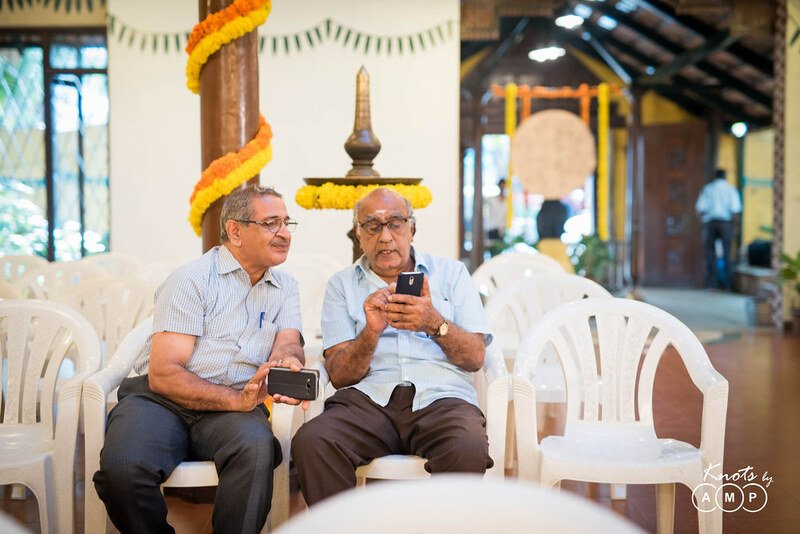 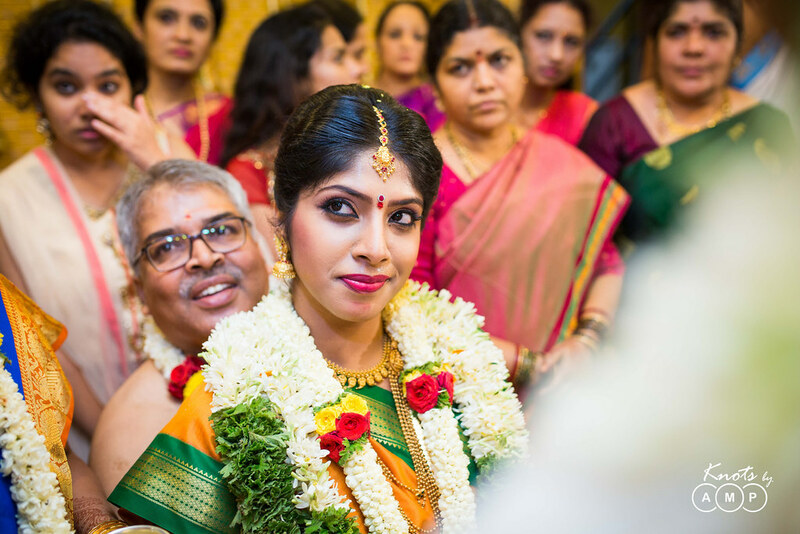 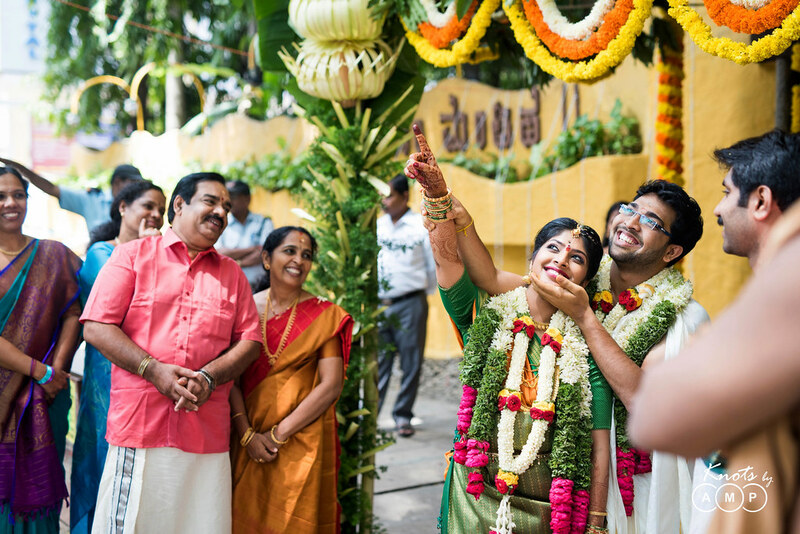 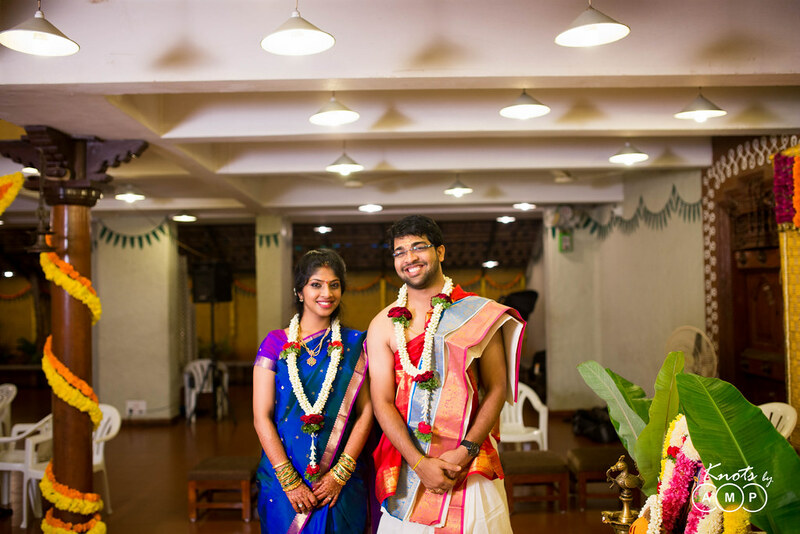 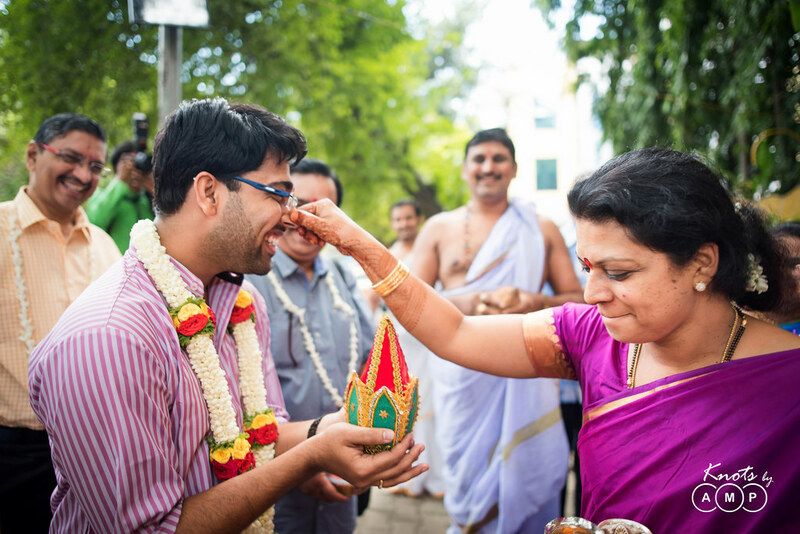 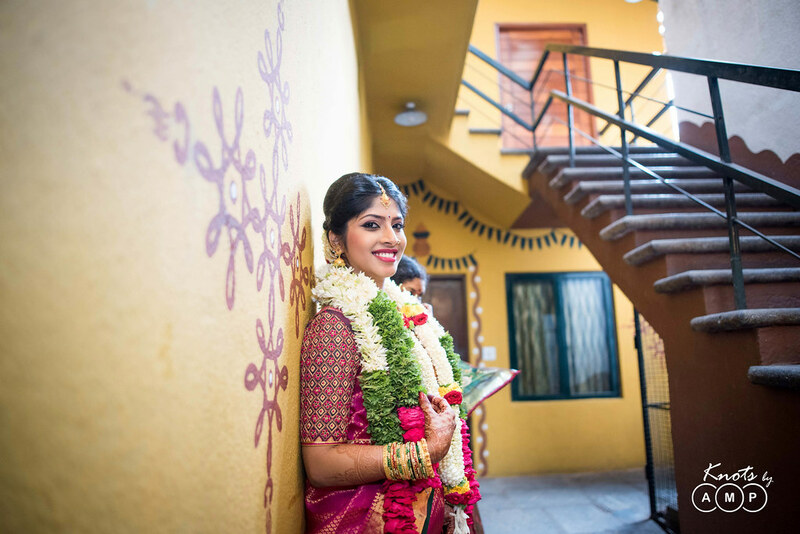 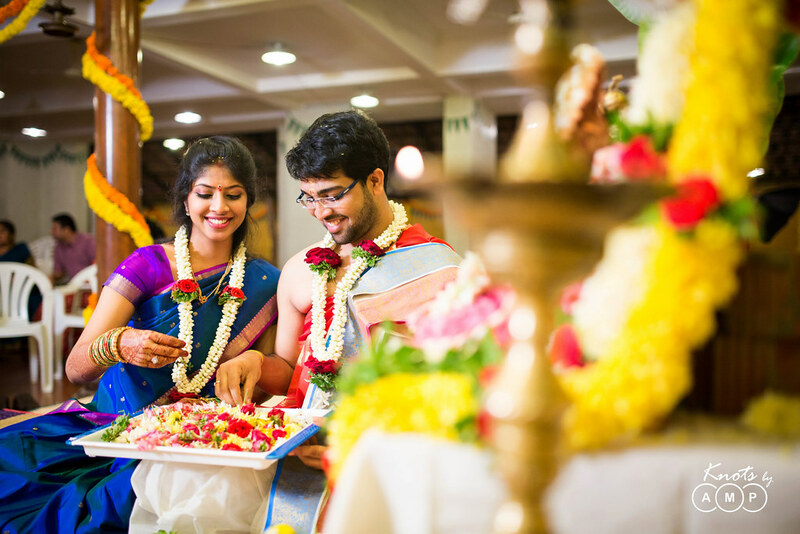 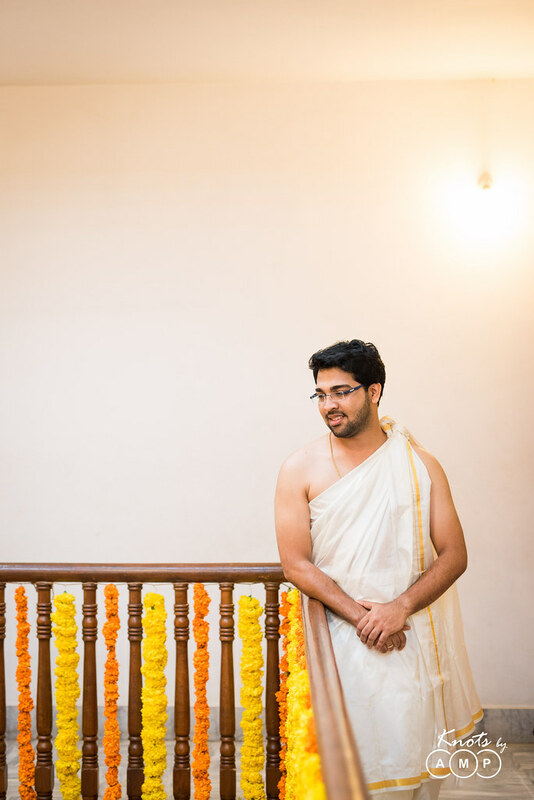 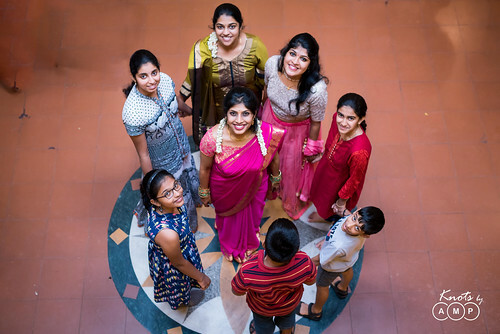 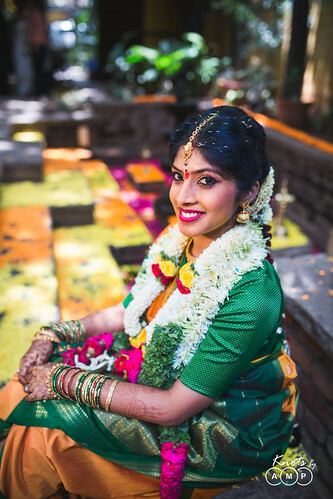 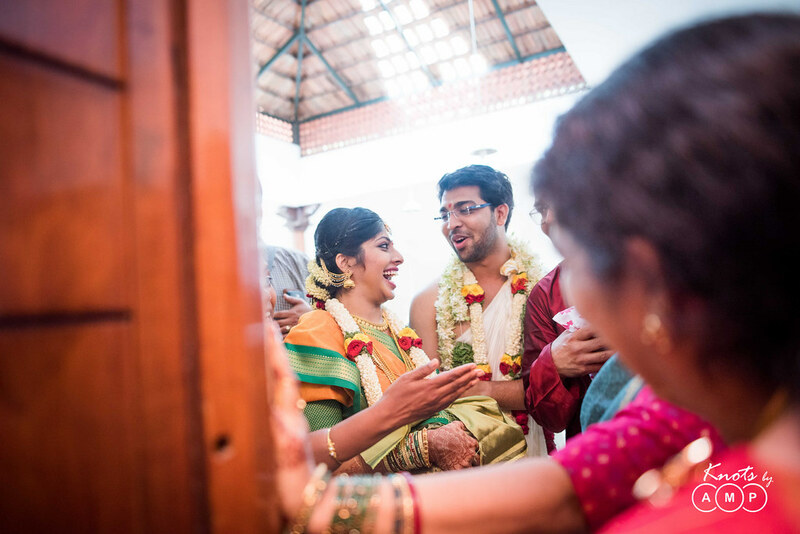 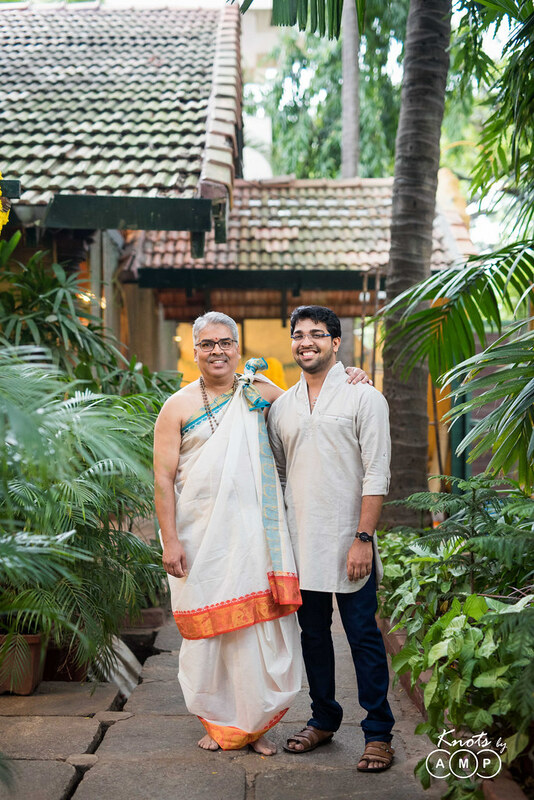 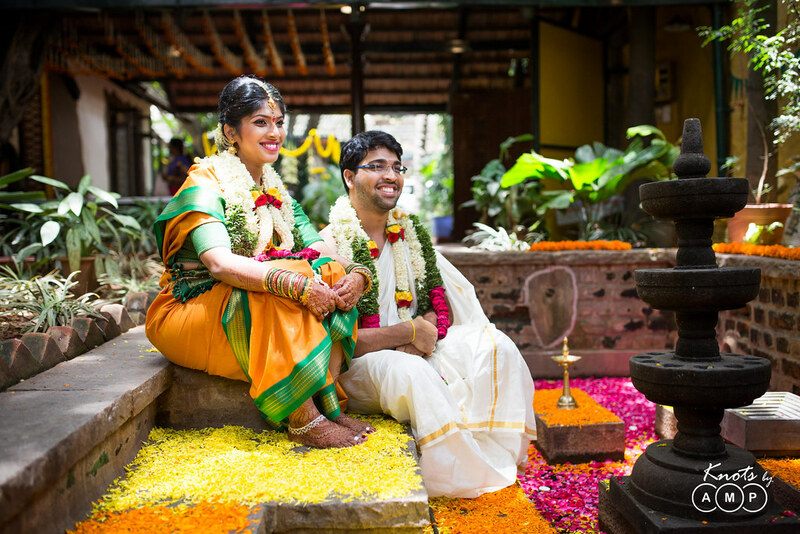 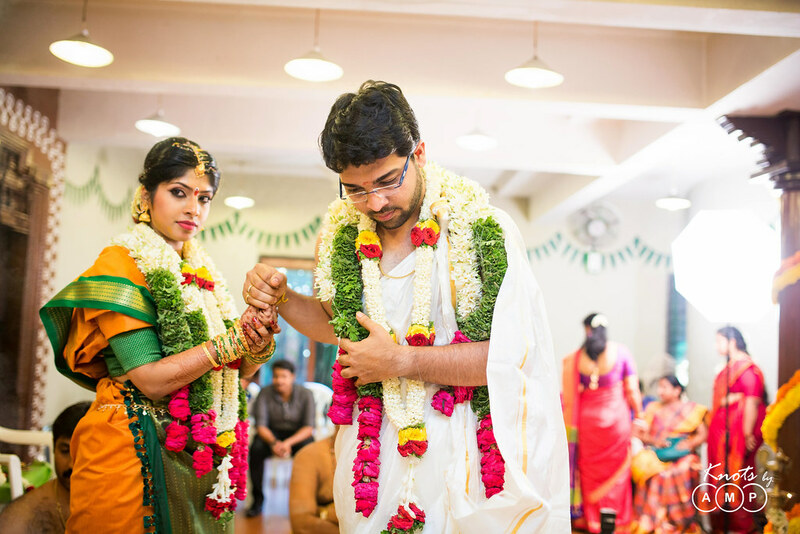 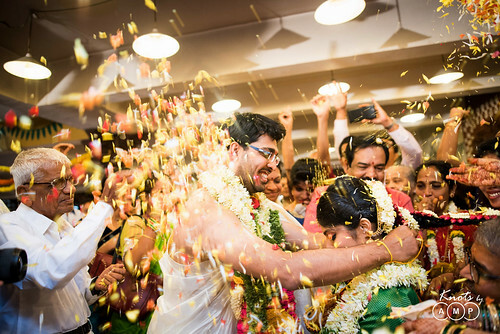 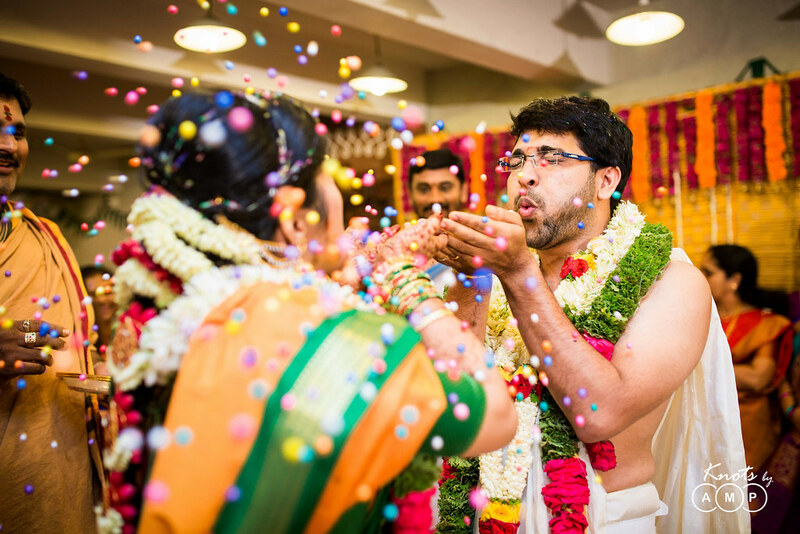 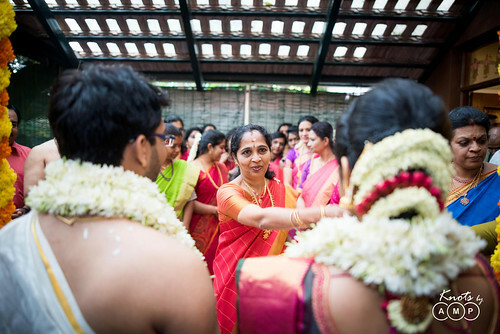 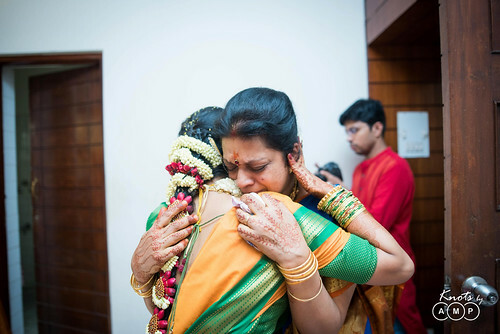 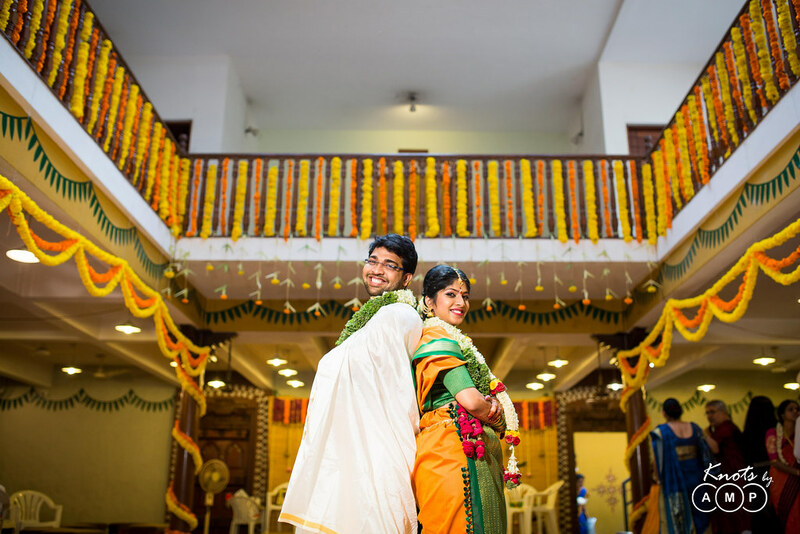 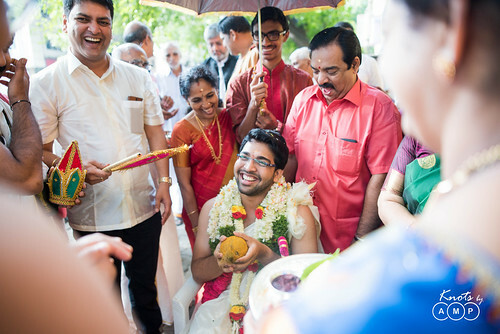 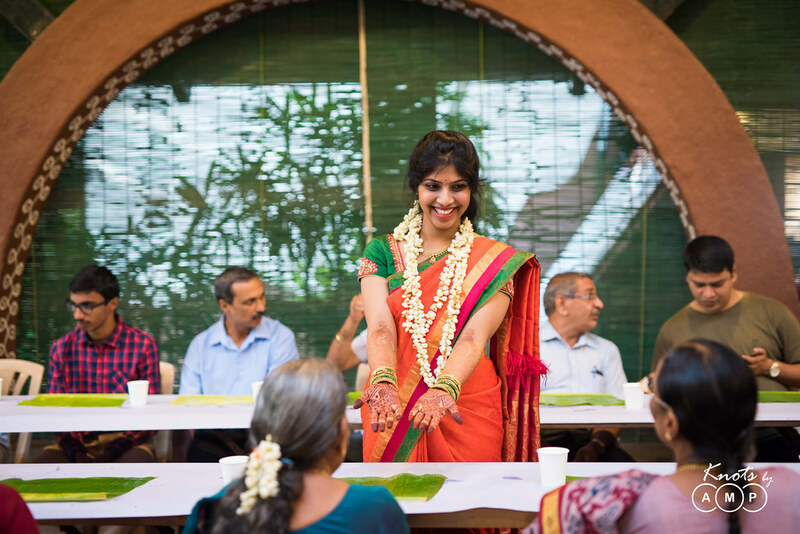 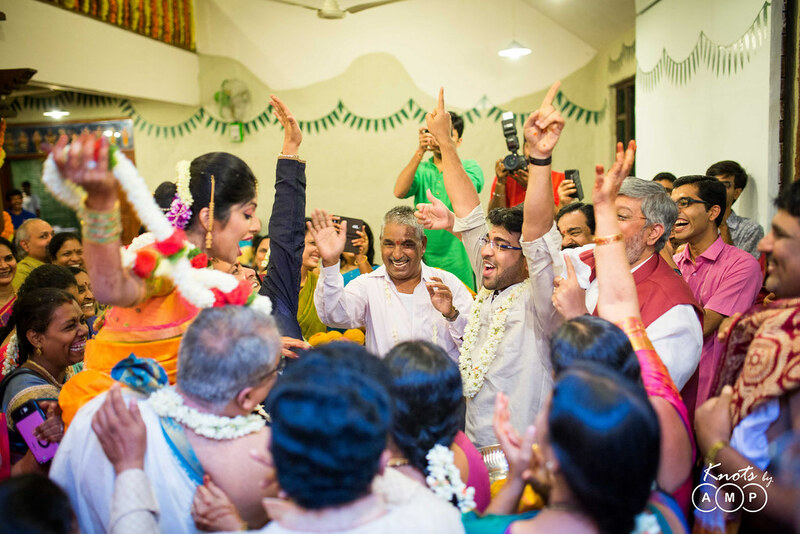 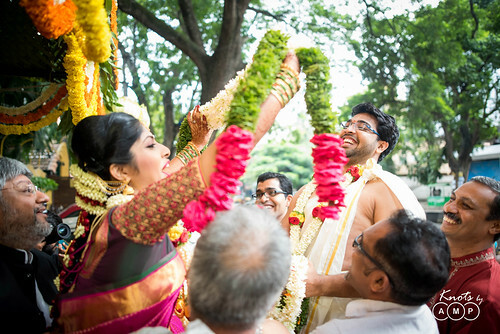 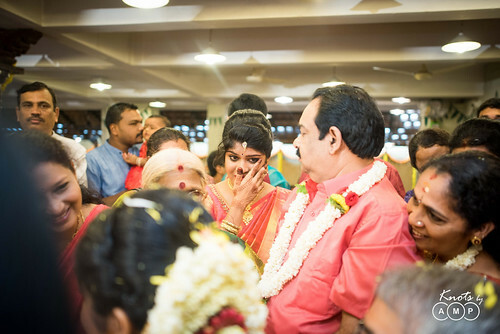 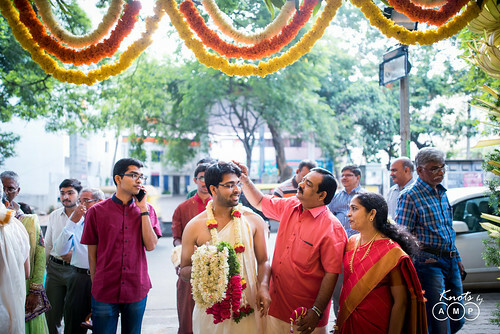 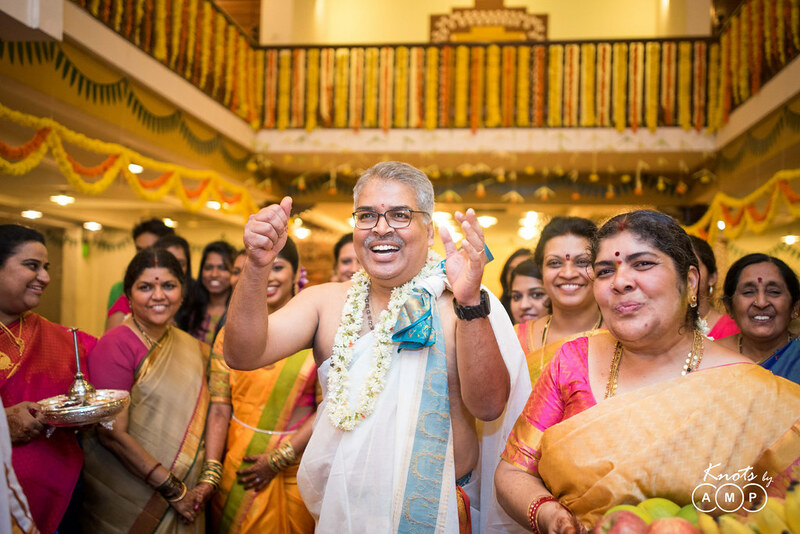 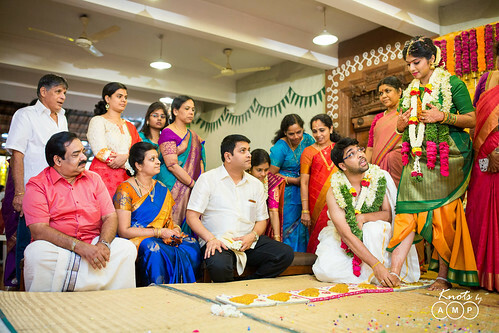 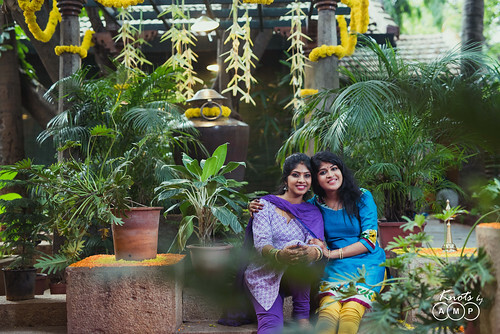 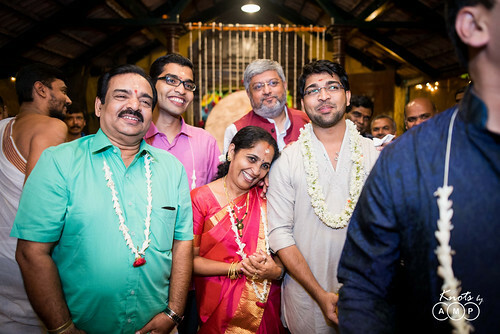 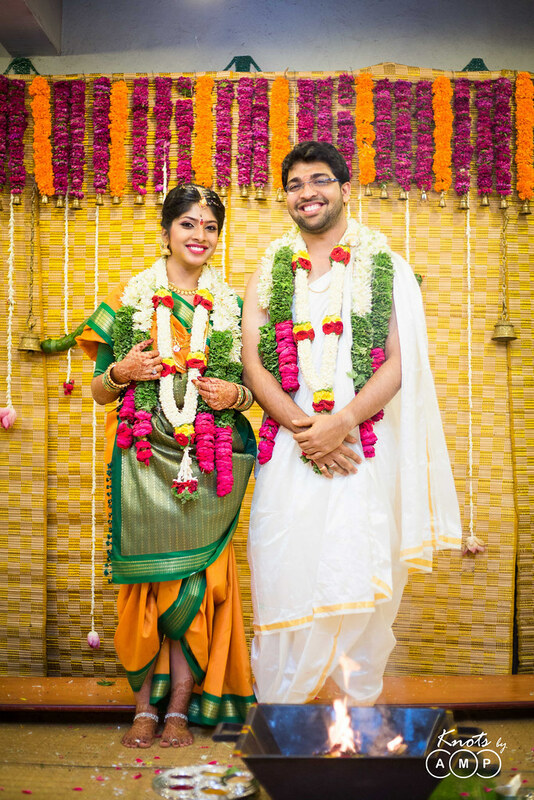 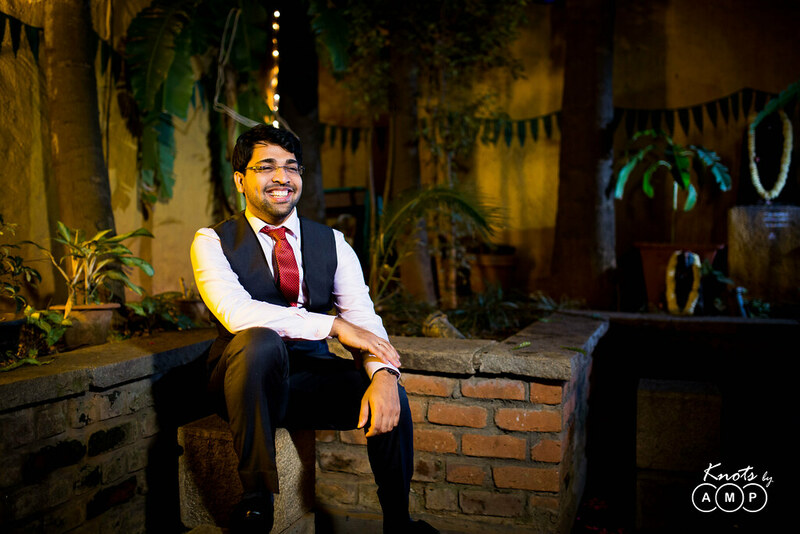 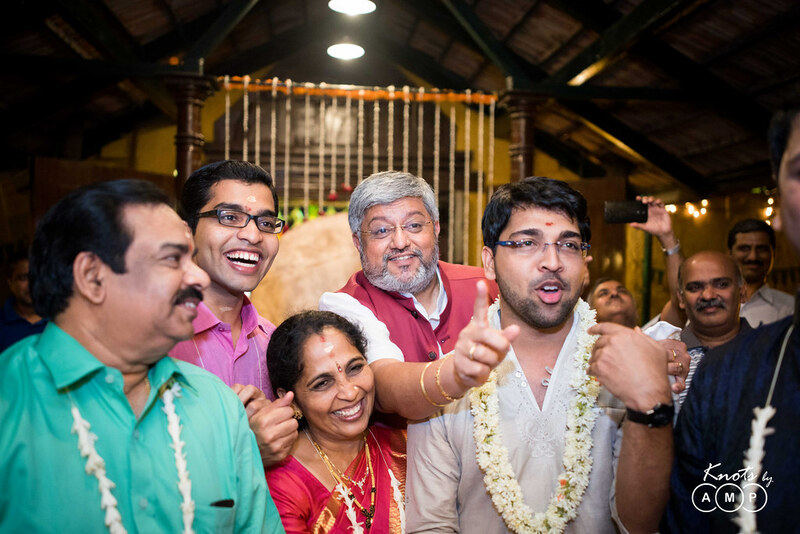 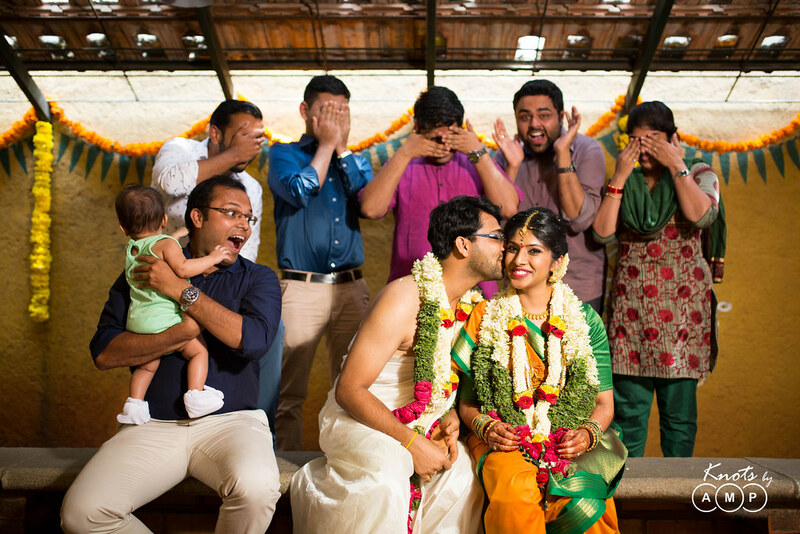 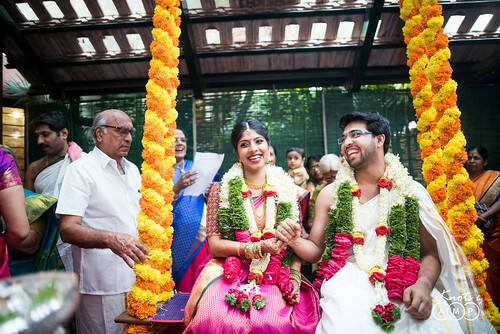 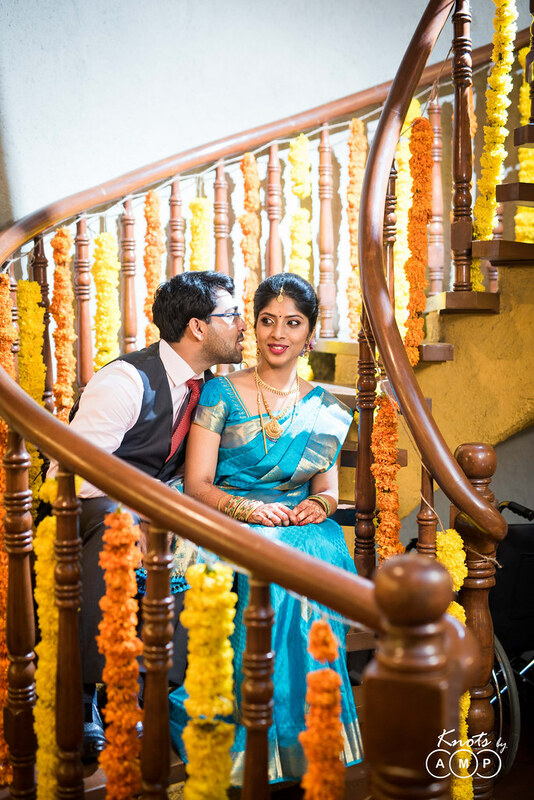 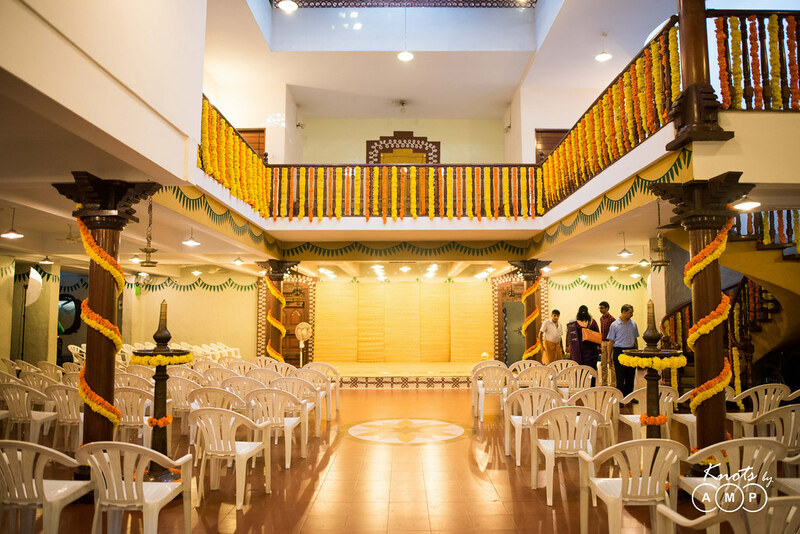 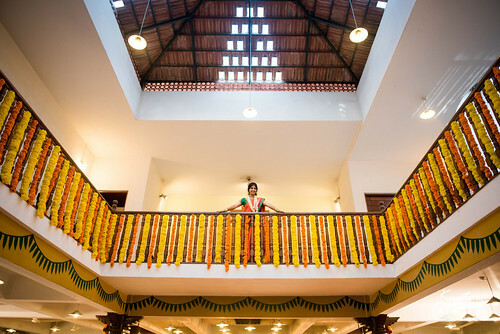 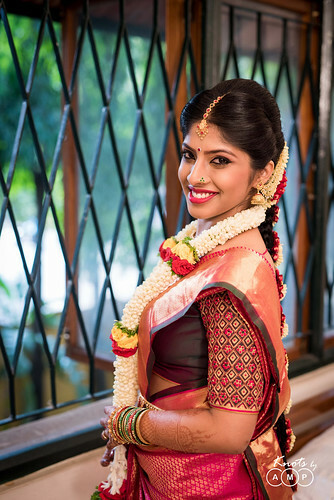 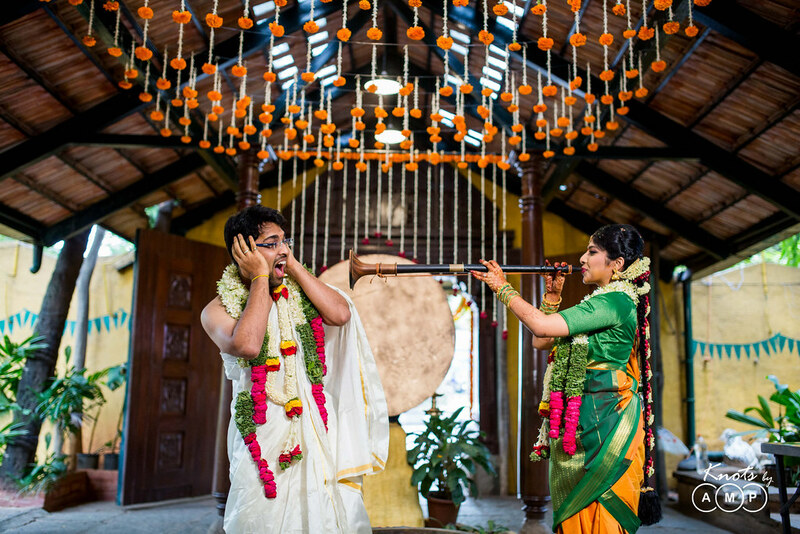 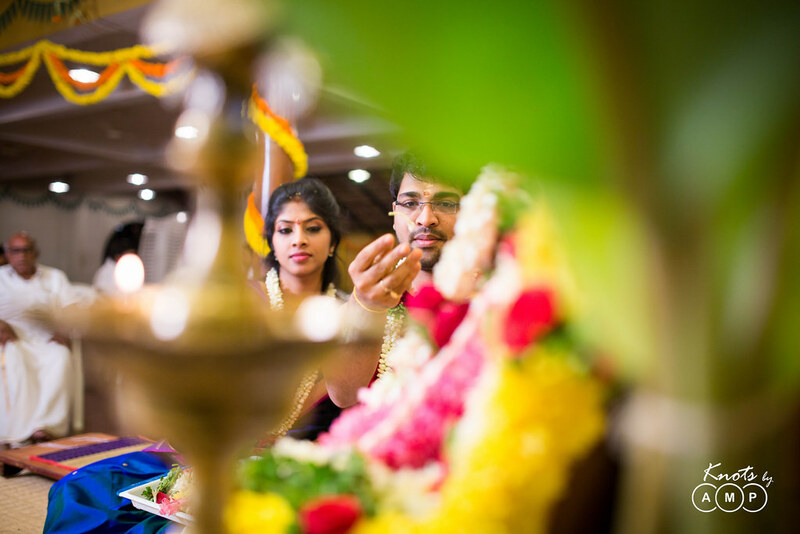 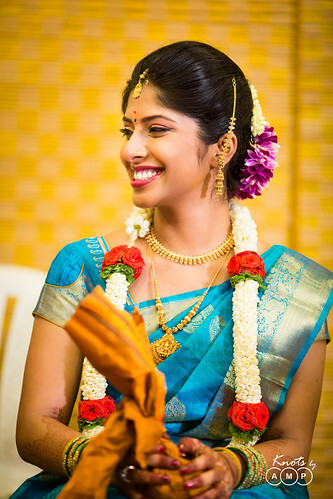 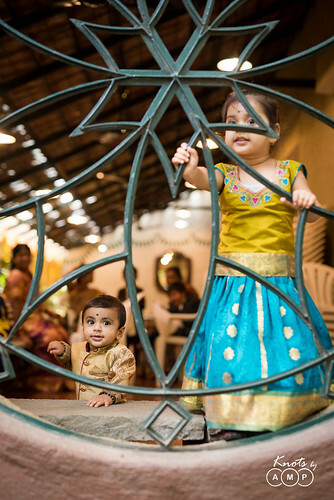 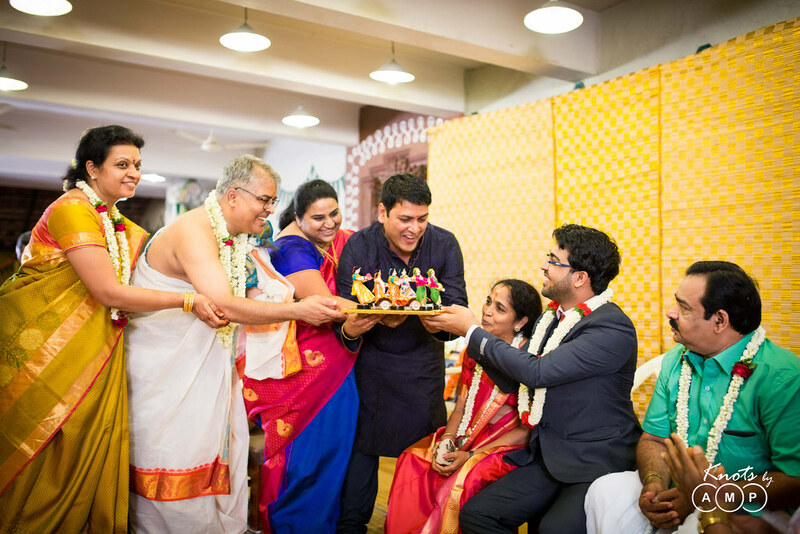 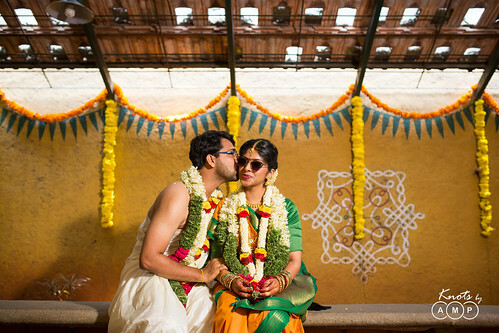 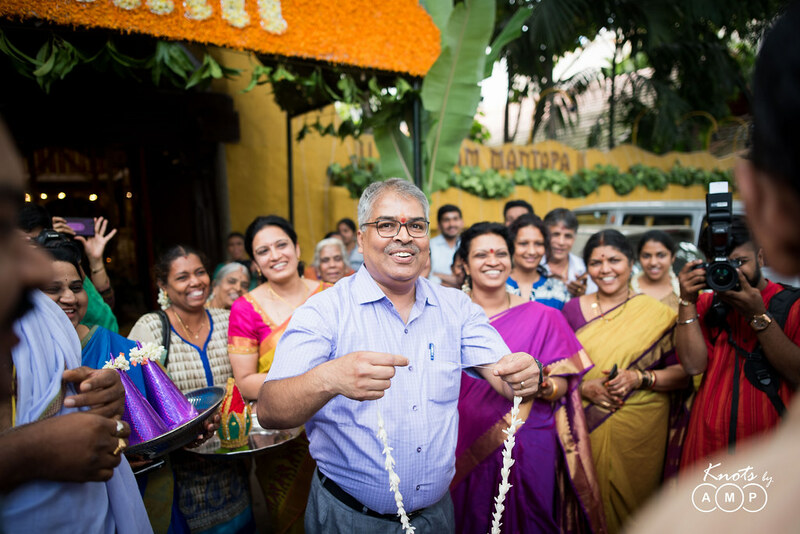 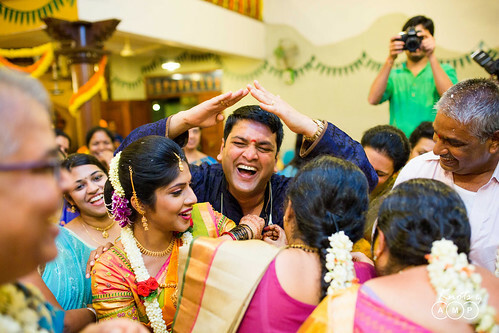 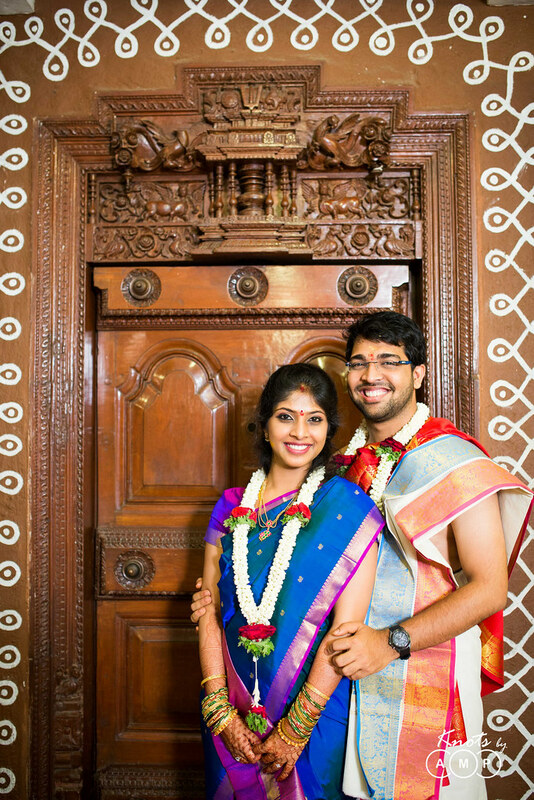 They wanted to deviate from the concrete mantapam wedding, and so very thoughtfully chose the venue considering the peace and calmness surrounding it. 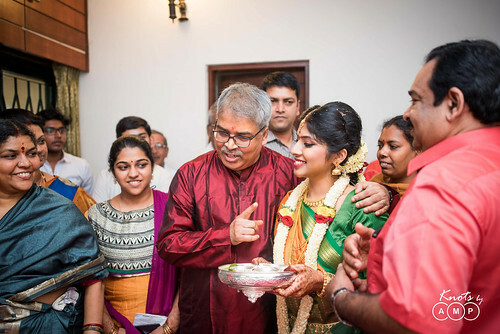 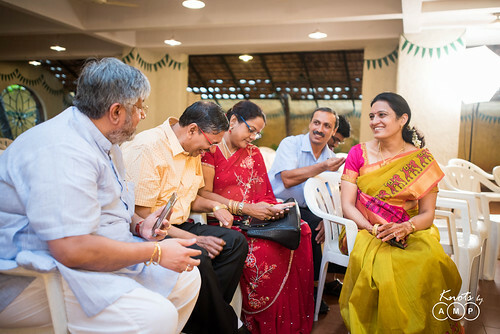 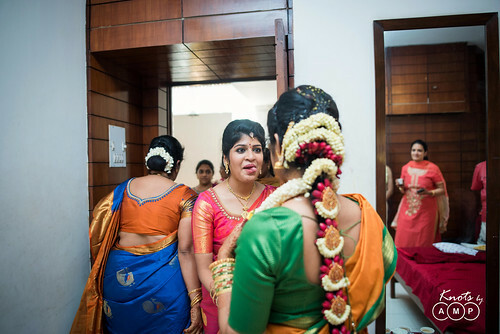 To brew some more “South-Indianess”, it is very interesting to note that the bride’s dad is telegu, her mom is tamil and her groom is mallu. 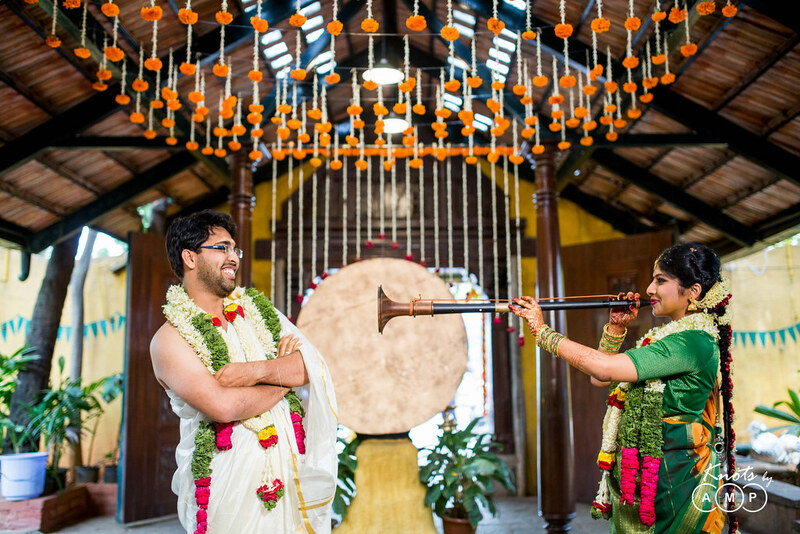 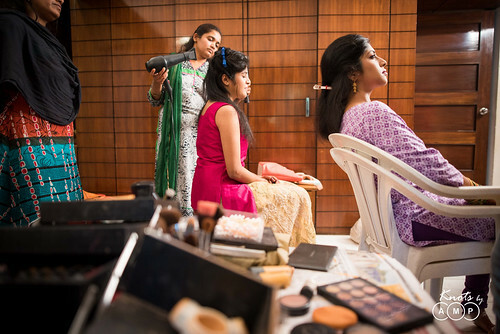 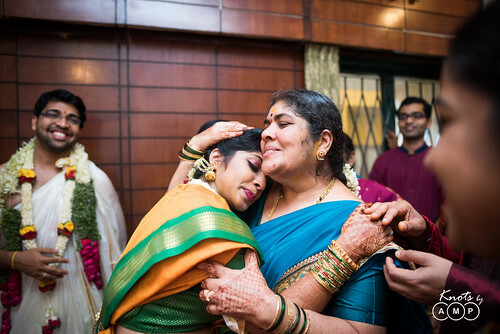 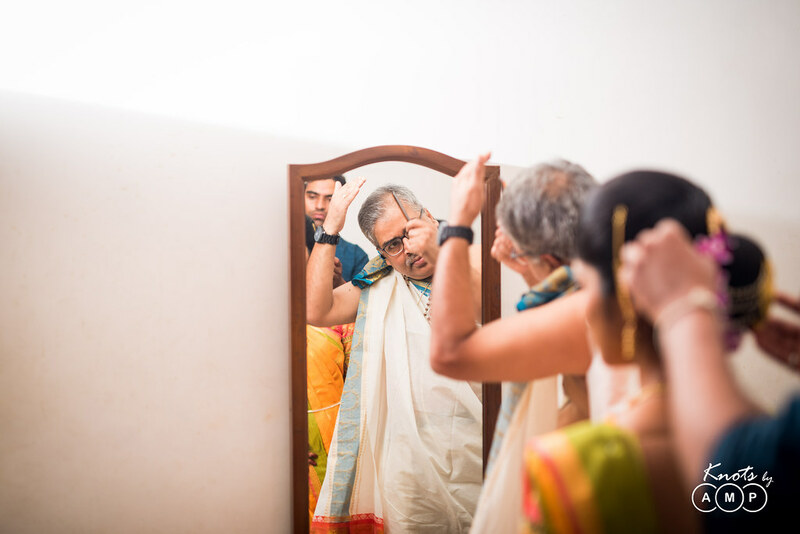 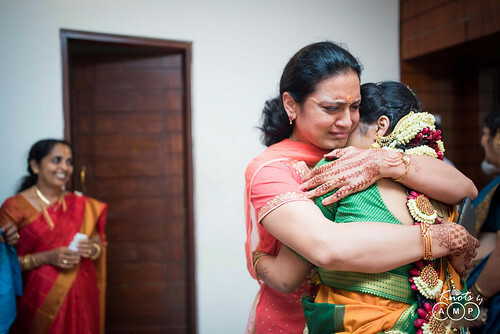 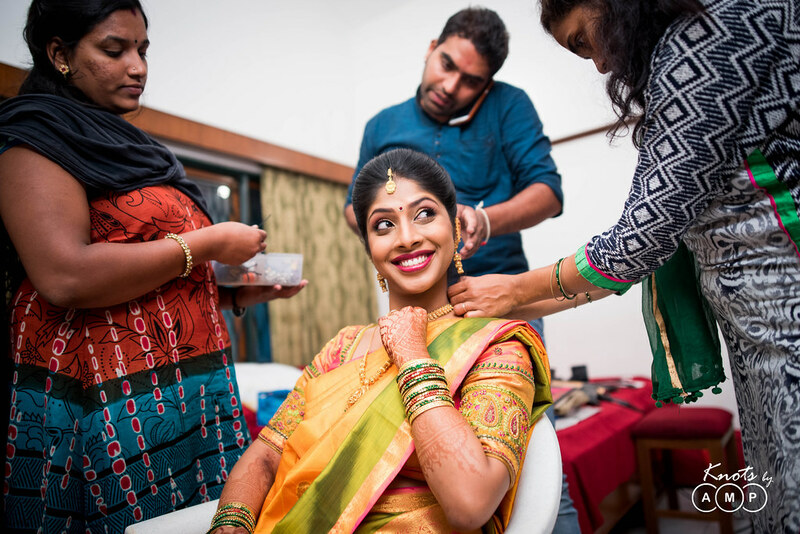 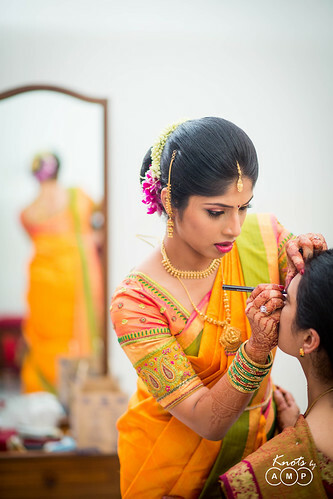 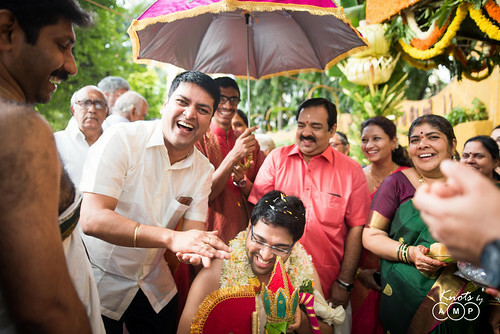 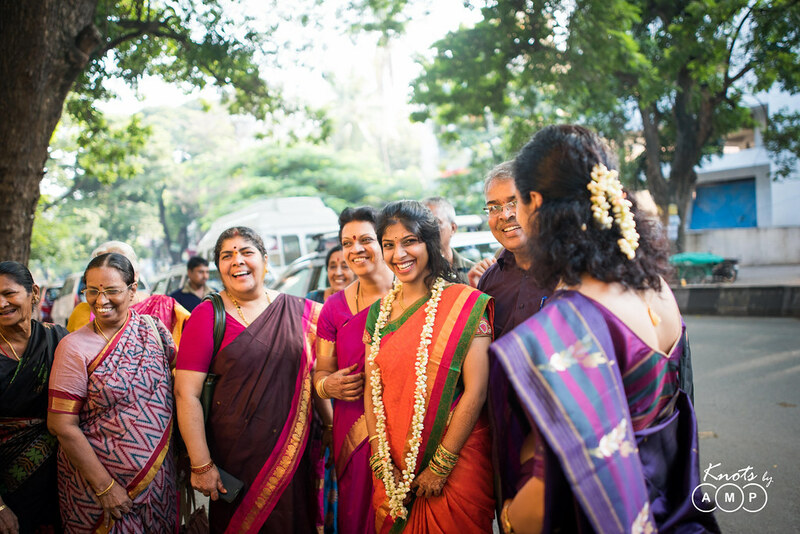 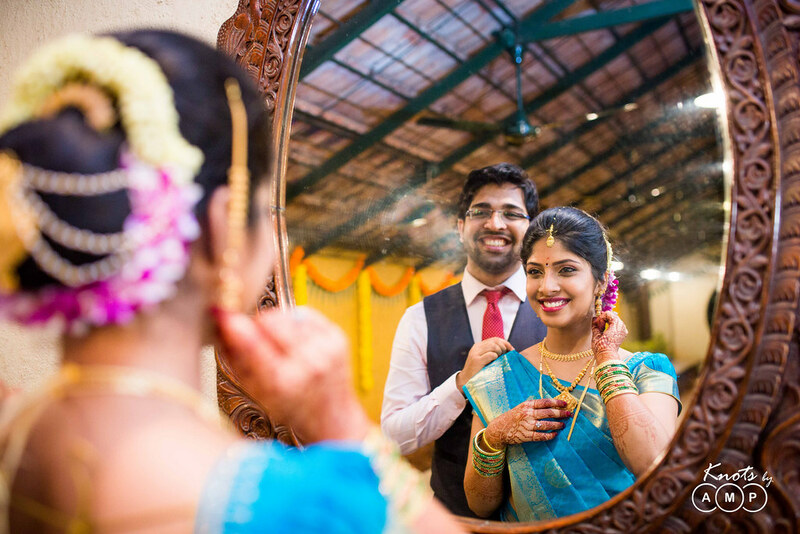 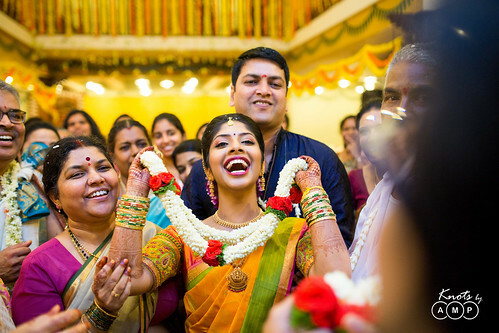 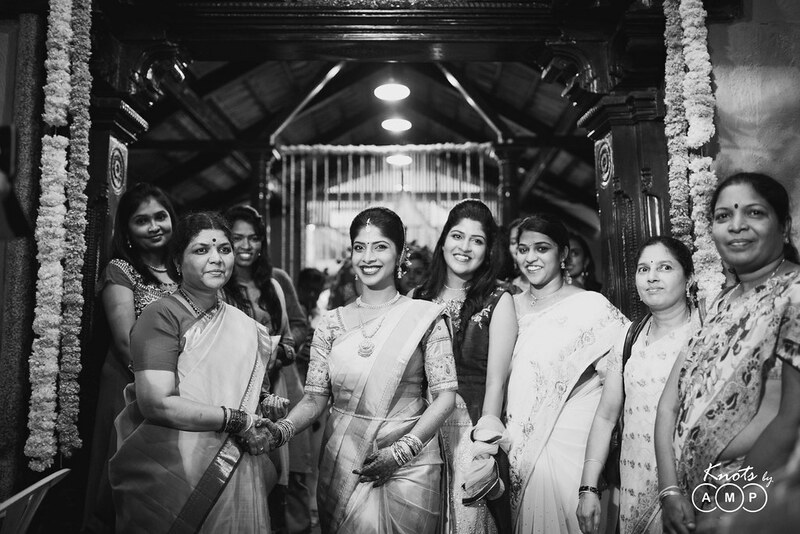 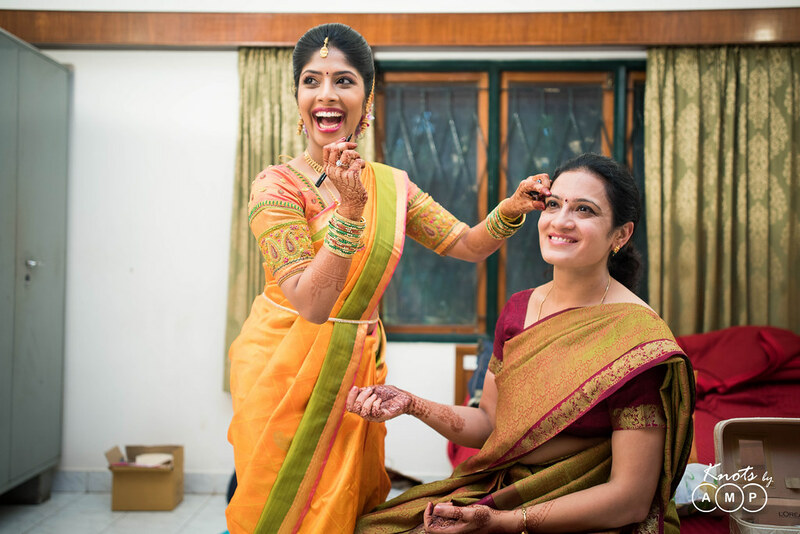 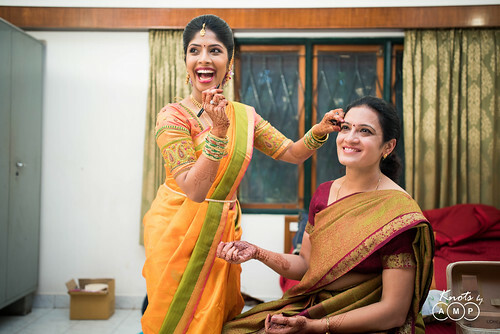 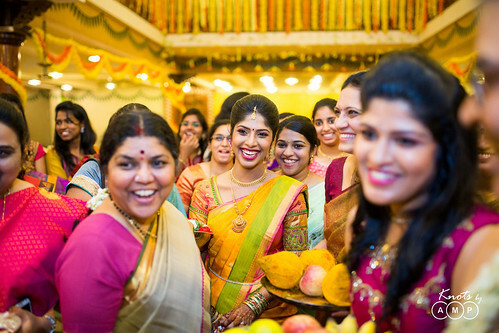 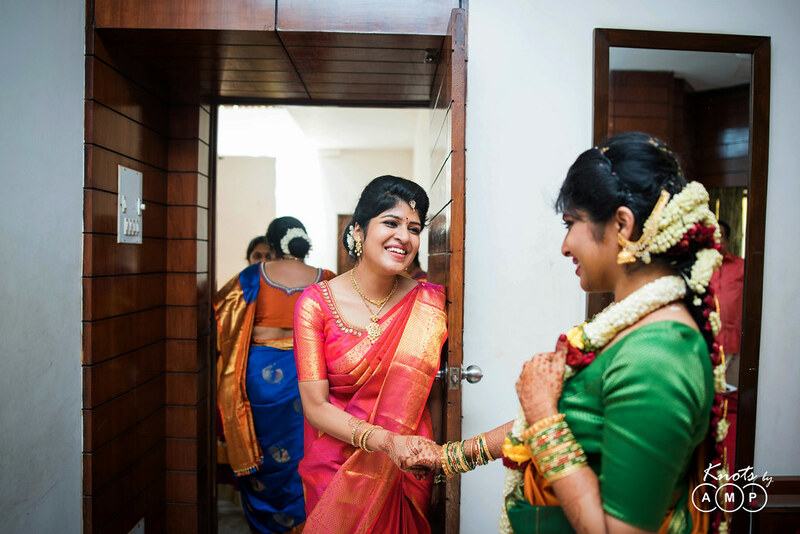 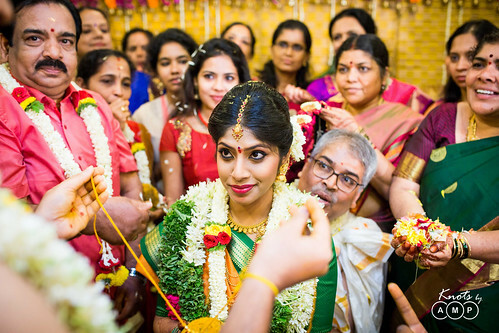 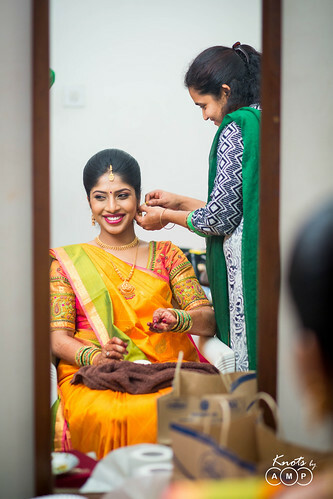 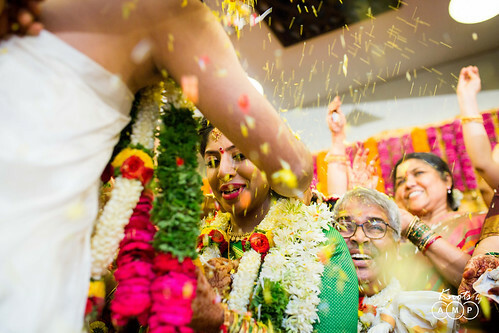 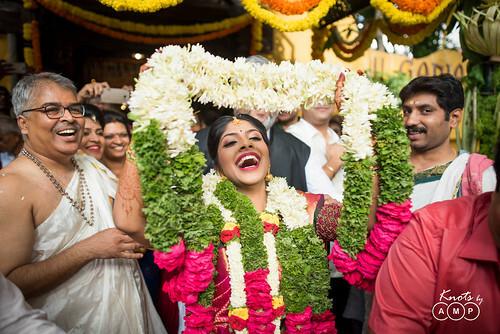 The South Indian states’ diverse fusion is the main essence of this wedding, which is clearly reflected in the photographs. The bridal wear consisted of pretty and flair display of Kanjeevarams consisting of yellows, blues, oranges and pink. 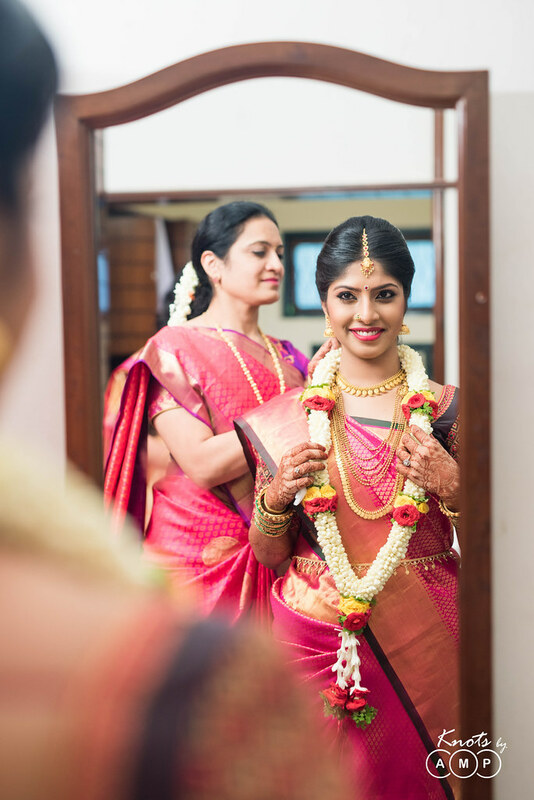 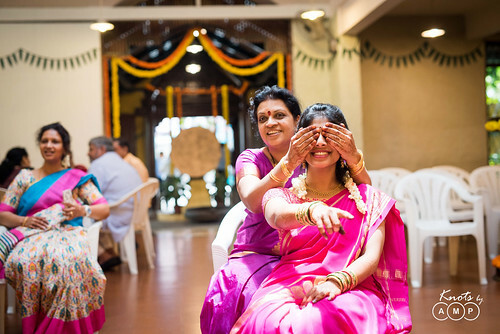 The golden accessories paired with the variety of colourful kanjeevarams lit up the bride’s face, as she personified elegance in every frame. 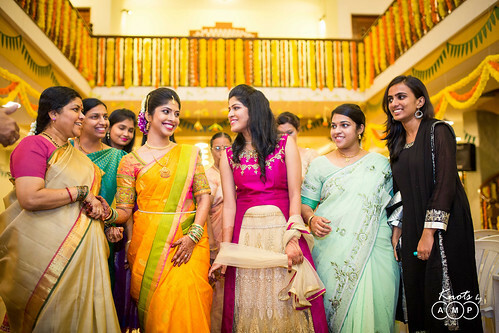 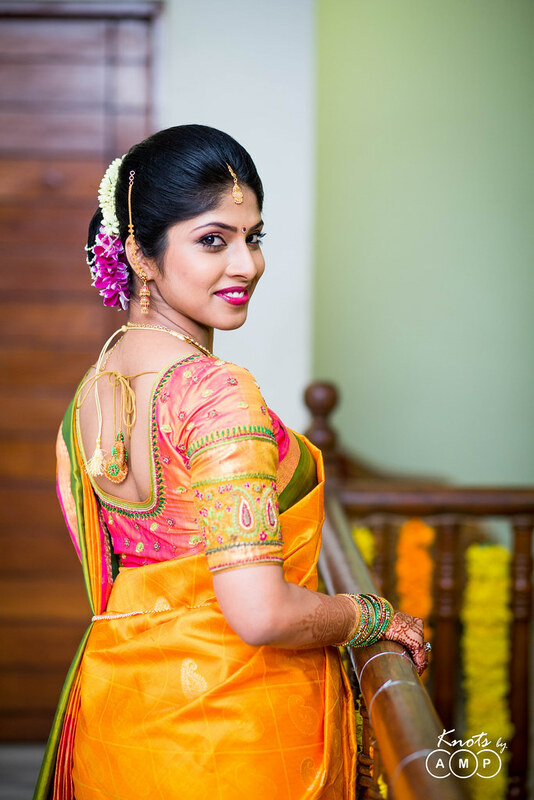 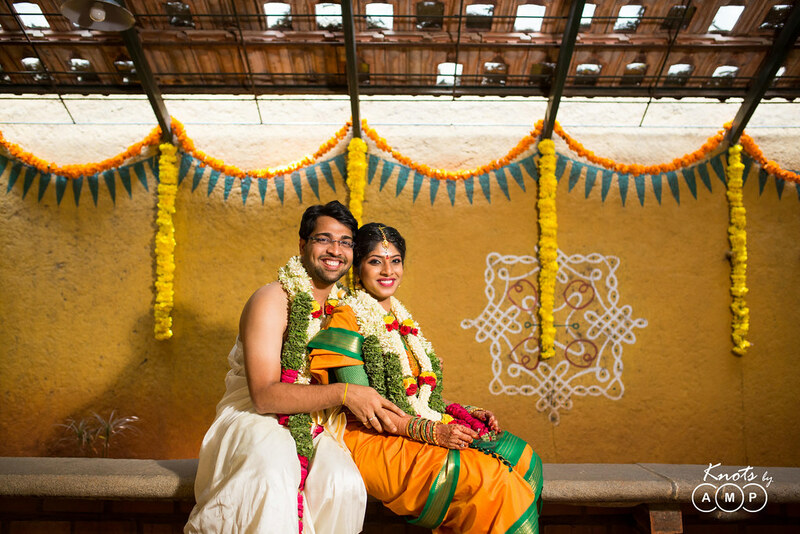 On the wedding day, Shruti wore the nine-yard Kanjeevaram silk saree (Madisaree) in shades of yellow and green border. 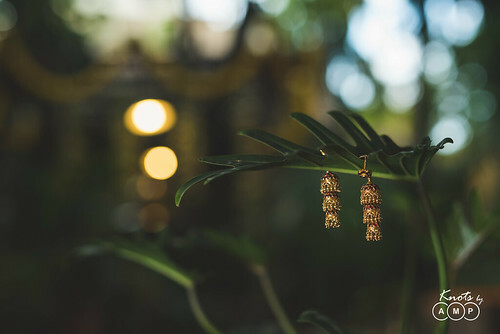 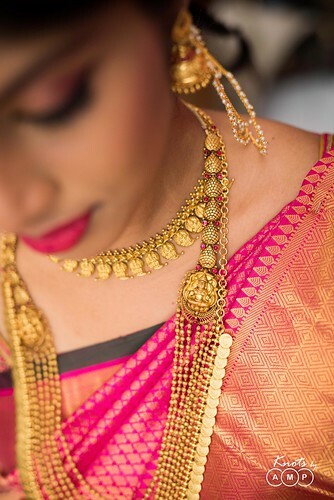 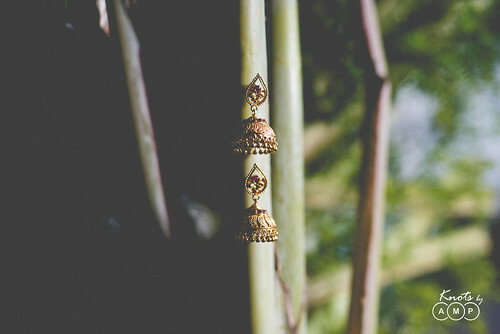 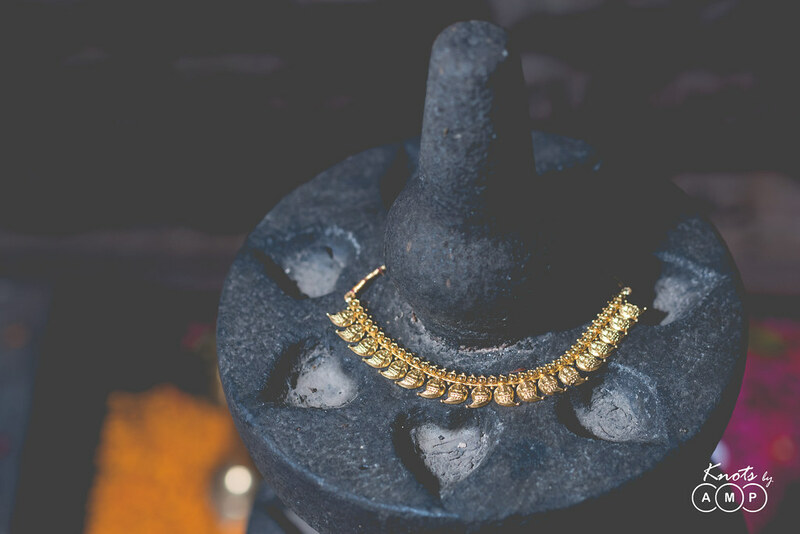 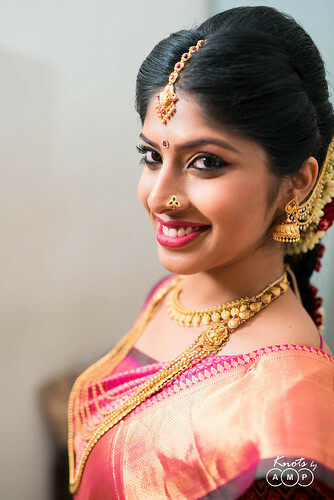 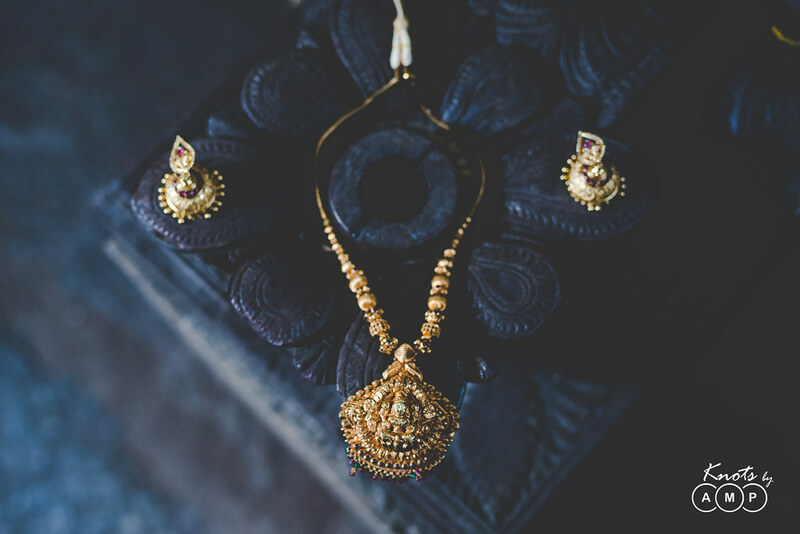 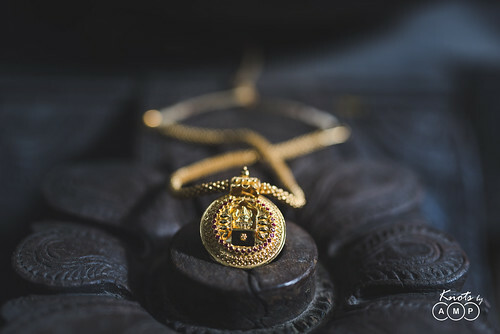 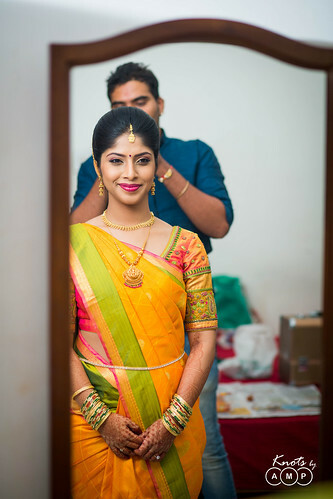 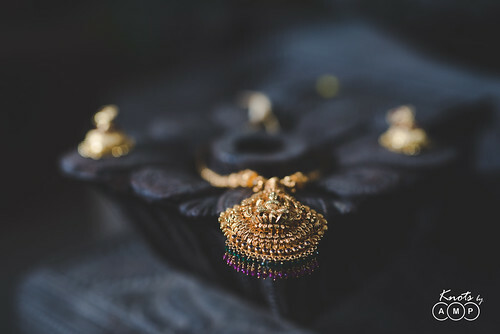 A very integral part of the bridal jewellery was the typical temple jewellery and amazing golden necklaces and ear-rings which were designed out of temple art. 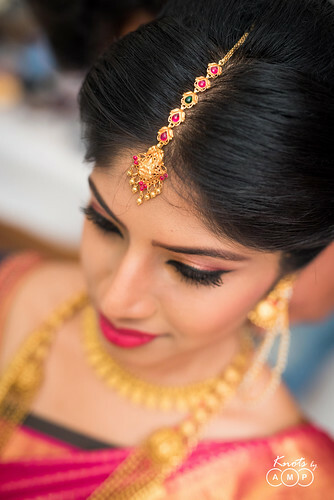 Also, what caught the eye were the beautifully done little flower garlands wrapped around the hair, making a long braid. 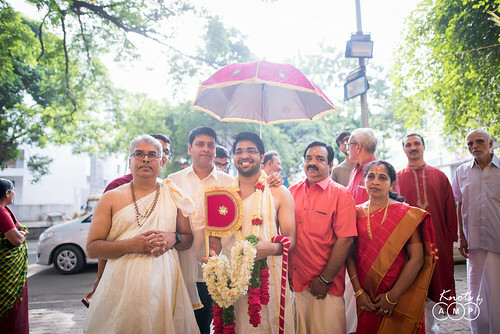 The expressive Groom, on the other hand wore the traditional attire and matched his bride’s exuberance in every frame. 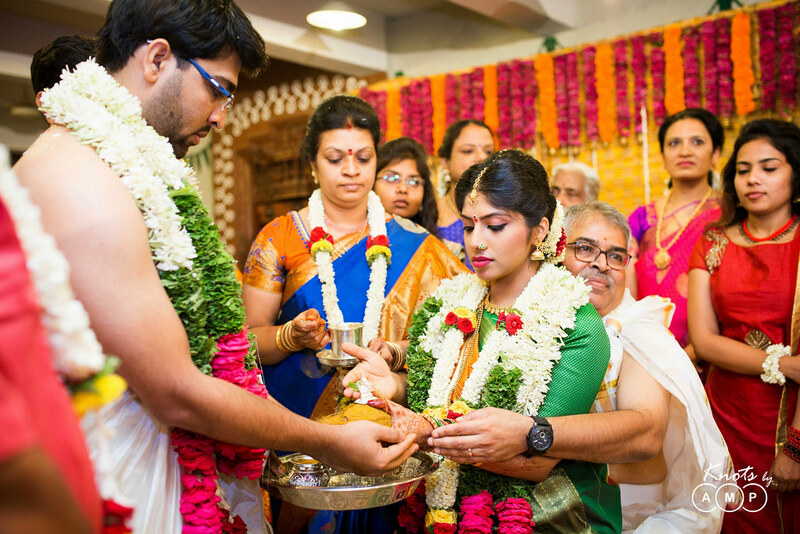 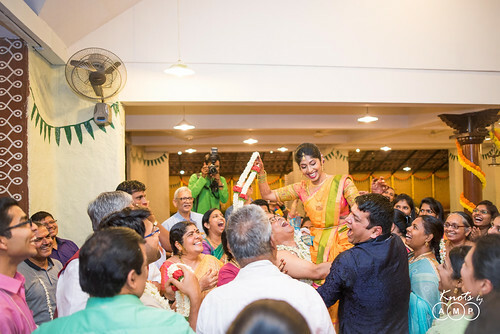 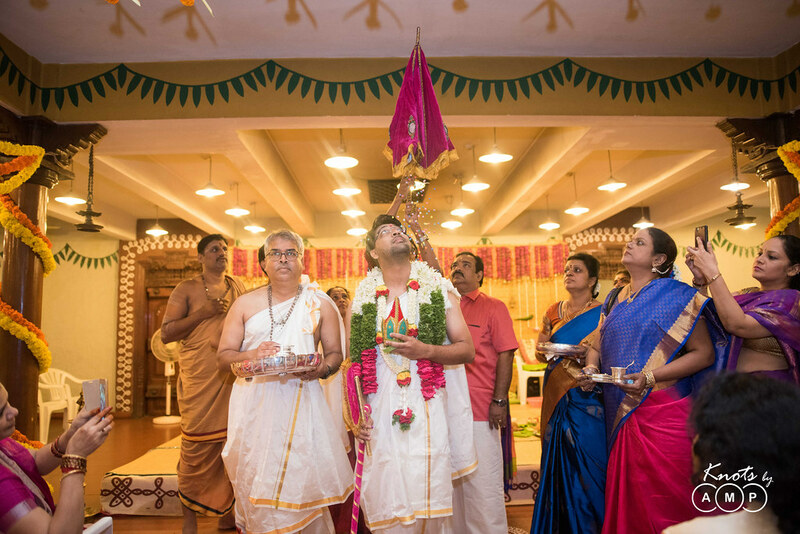 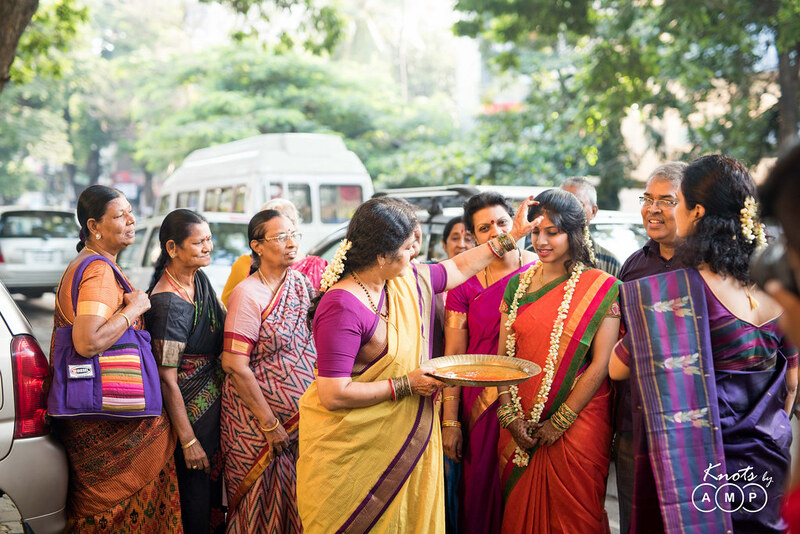 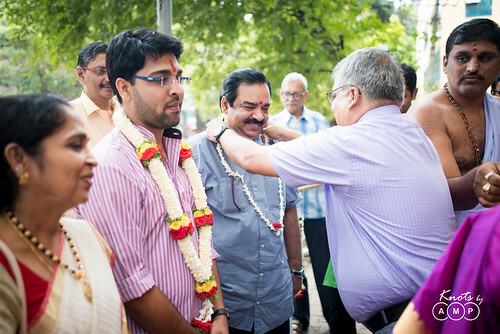 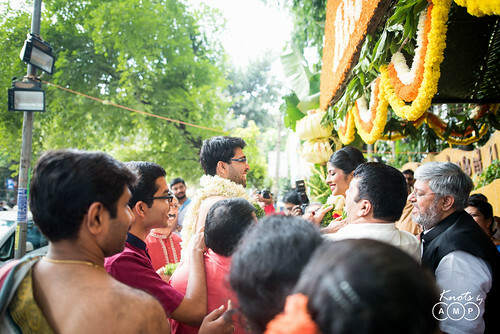 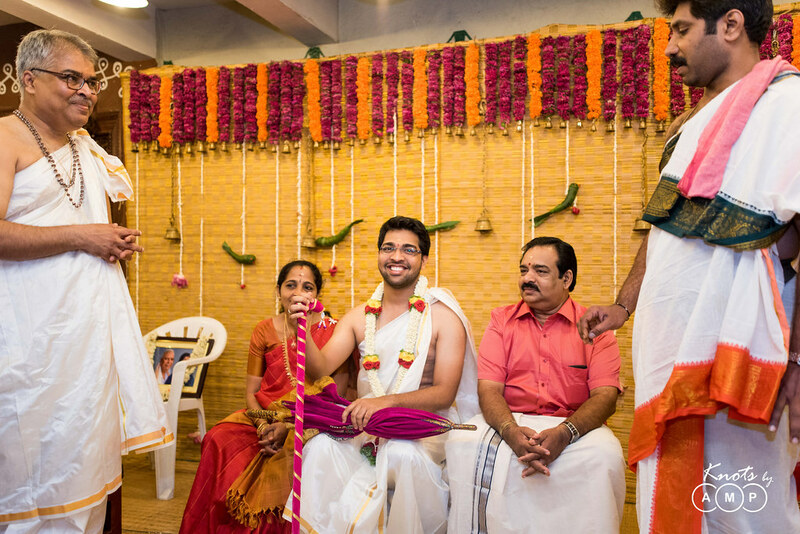 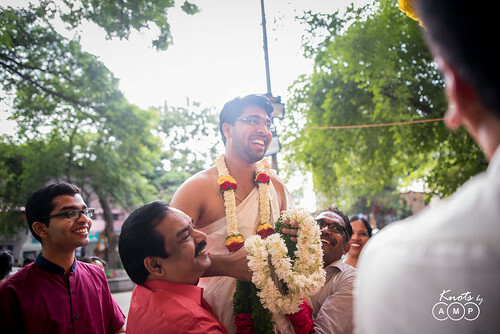 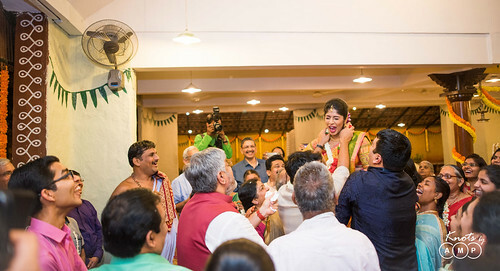 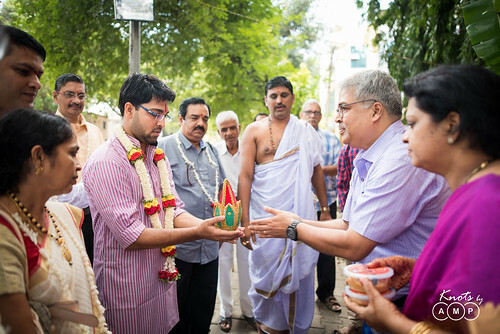 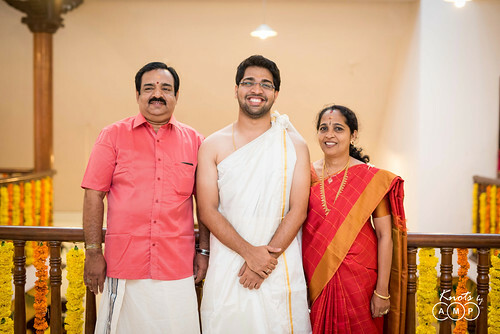 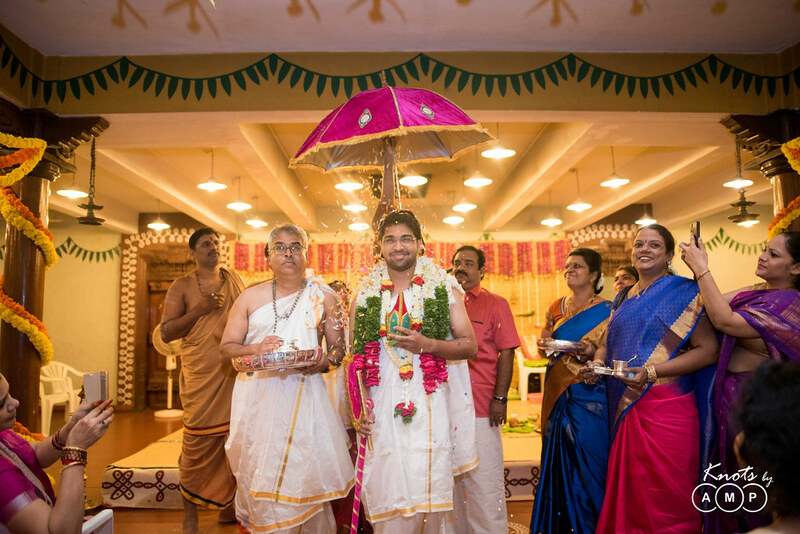 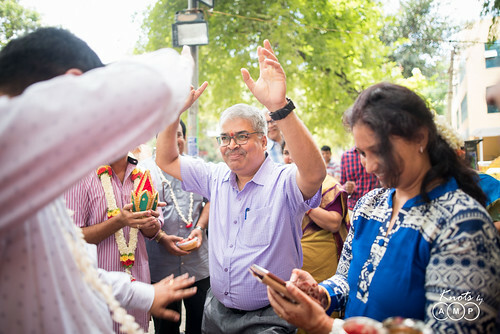 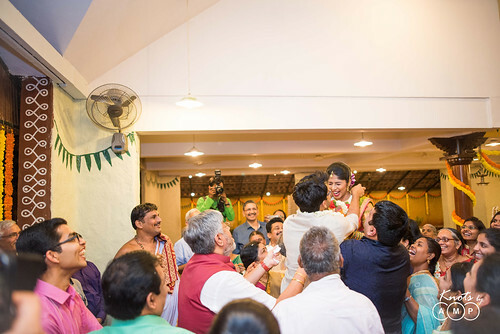 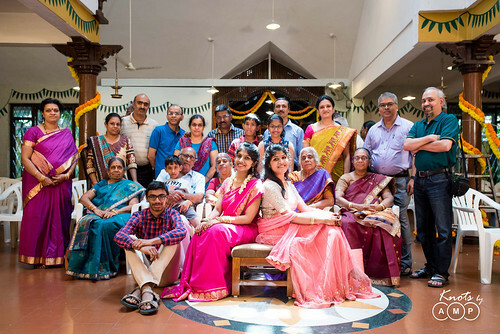 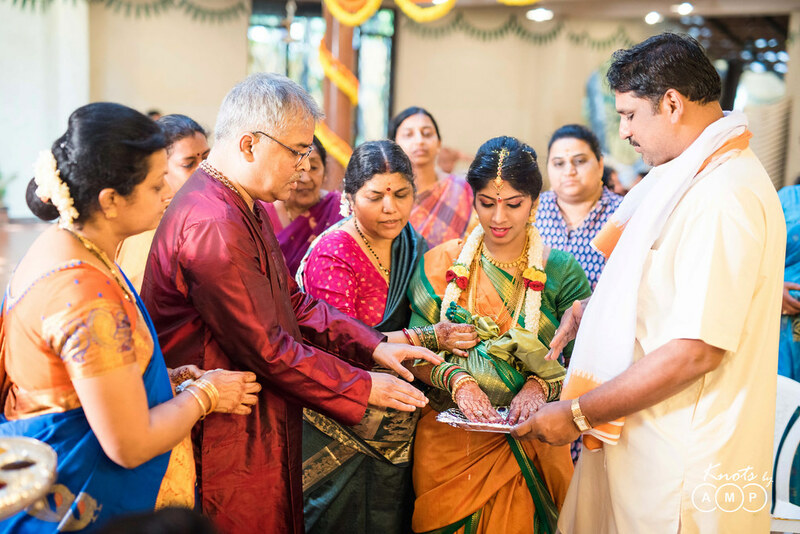 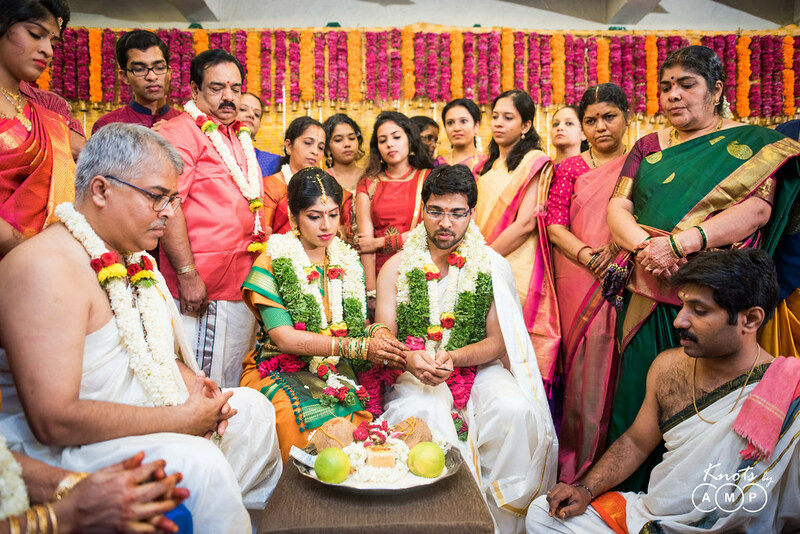 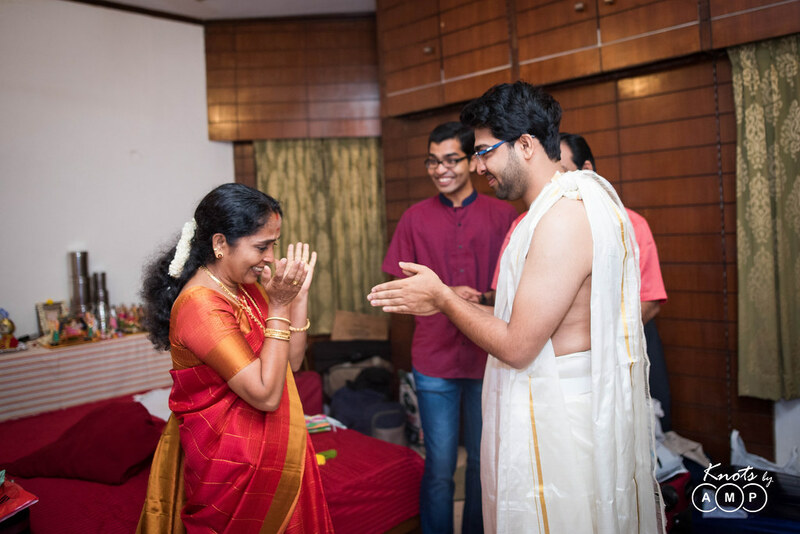 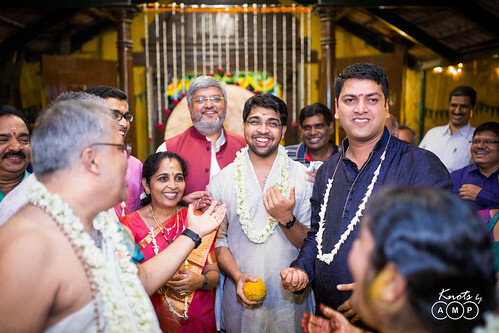 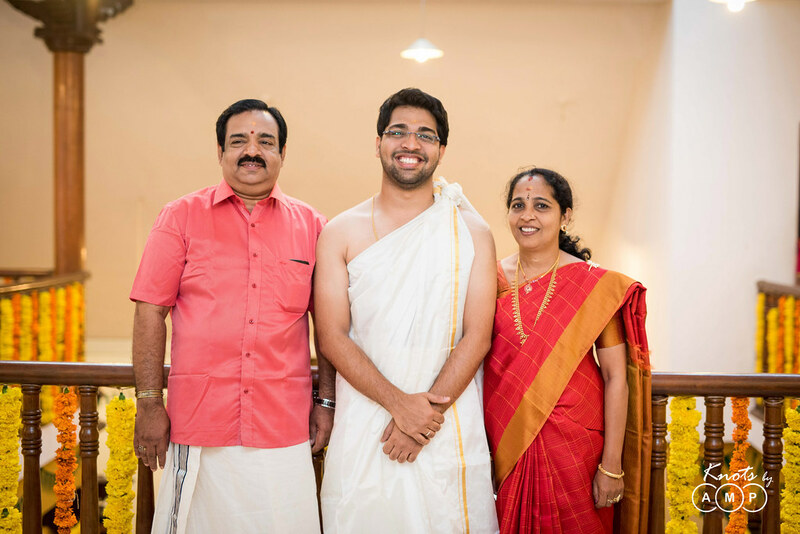 The two day festivities included, Naandi (invocation of ancestors), Varpooja, Malaai Matra ( Varmala exchange ) Nichyathartham ( Engagement ceremony ), Kashi Yatra, Oonjal and finally the Tamil-Telugu mixed style wedding followed by Satyanarayan Puja on the last day. 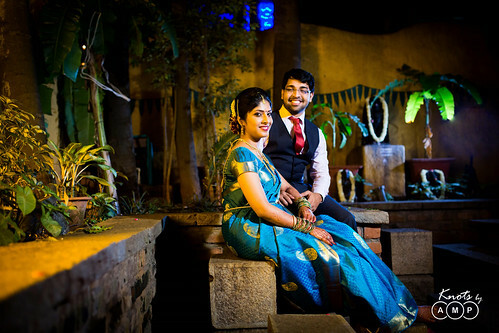 Not forgetting to mention, the couple shoots of the fun loving couple turned out to be amazing, as they were thrilled to explore the different facets of the gorgeous venue. 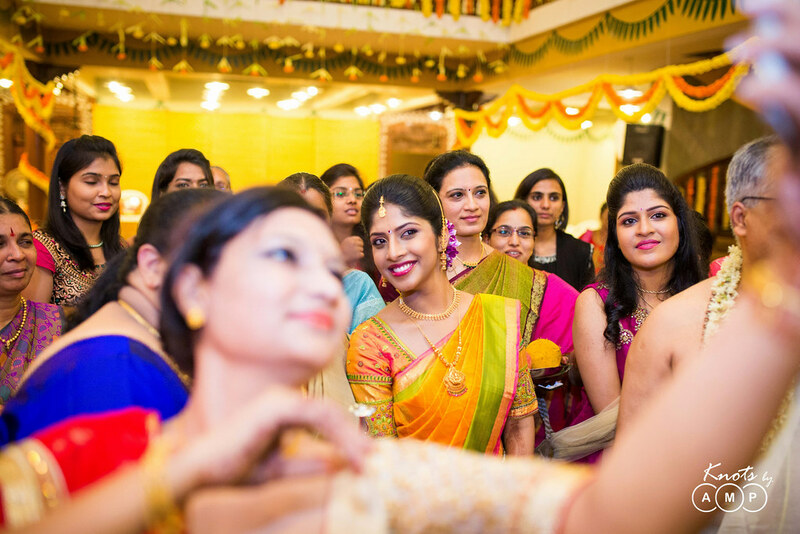 Now let the photos enthrall you ! Do give us your feedback and comments, likes and shares!